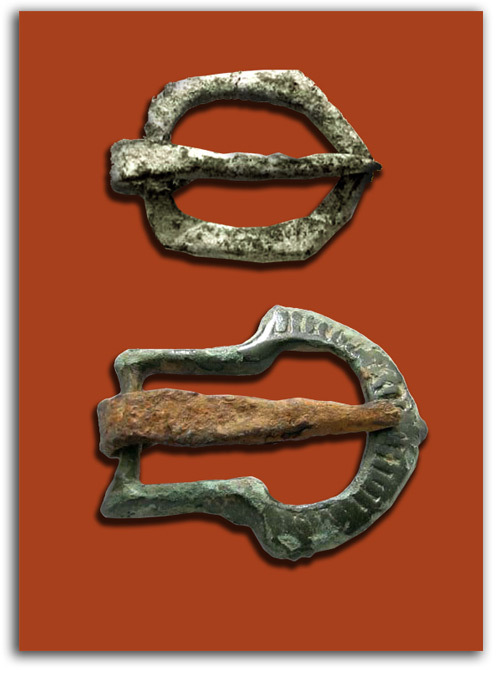 IAD is a center for the development of visual education and cultural planning. Established in 1975, at the suggestion of the National Endowment for the Humanities, IAD is the oldest such institution in the United States. 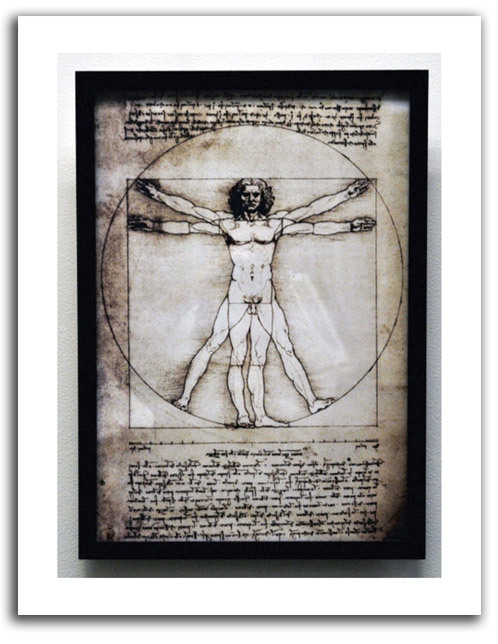 The purpose of IAD is to create visual education programs that are innovative models for educational institutions, especially museums and universities. 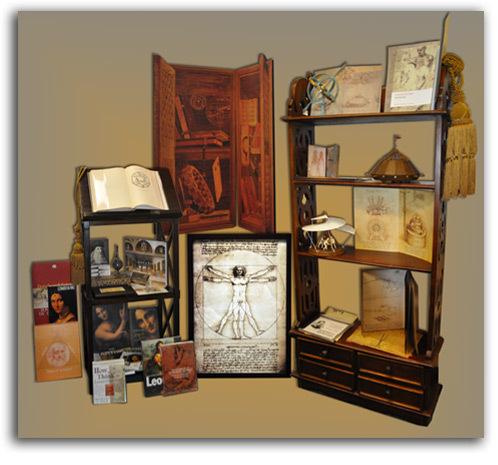 Many of the programs and products IAD has designed have become national and international models. IAD is a non-profit corporation. Its structure is flexible. Using interdisciplinary "think tank" methodology, IAD staffing and advisory groups change from project to project. The President of IAD, F. Lanier Graham, has been teaching Museum Studies, Cultural Resource Management, & Art History since the 1970s. His profile may be found in WHO'S WHO IN AMERICA and WHO'S WHO IN THE WORLD. NOTE: Most museums exhibit about 10% of their collections. MoMA in 1965 decided to be the first museum in the world to make all its collections easily available for study and purchased the building next door. 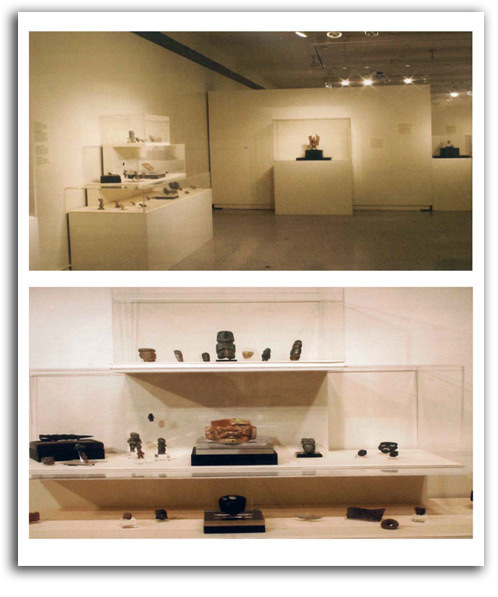 Each curatorial department had its own section in the old Whitney Museum building that was connected to the MoMA building. 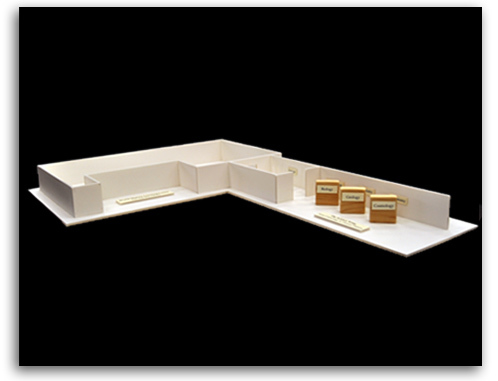 FLG’s assignment was to design and manage the Architecture & Design division of the Study Center as an innovative “Library of Objects.” Each object could be clearly seen, and (if necessary) easily moved to a study shelf or study table for further examination by students and scholars. 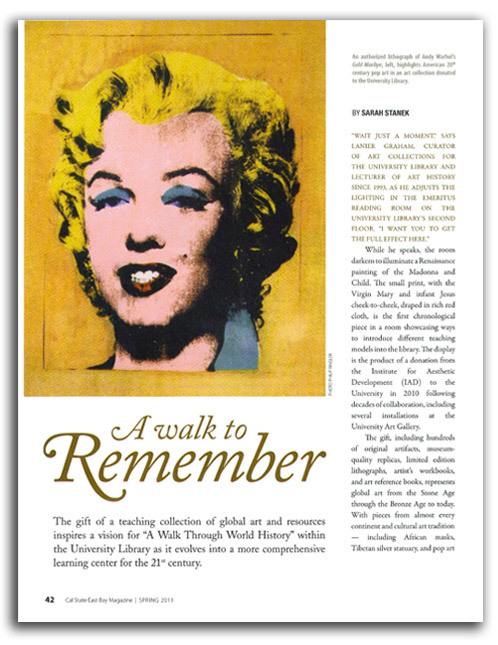 Around this new concept, which Alfred Barr named “study storage,” was developed a Center for the Advanced Study of Modern Art, the first of its kind, with visiting scholars from around the world. NOTE: The Exploratorium inside San Francisco’s historic Palace of Fine Arts began in 1969 as the vision of Frank Oppenheimer who developed “open learning systems” by which visitors learn about science and perception by means of stimulating interactive displays of various scientific principles. The displays are works-of-art in themselves, created by artists who love science, working on site. 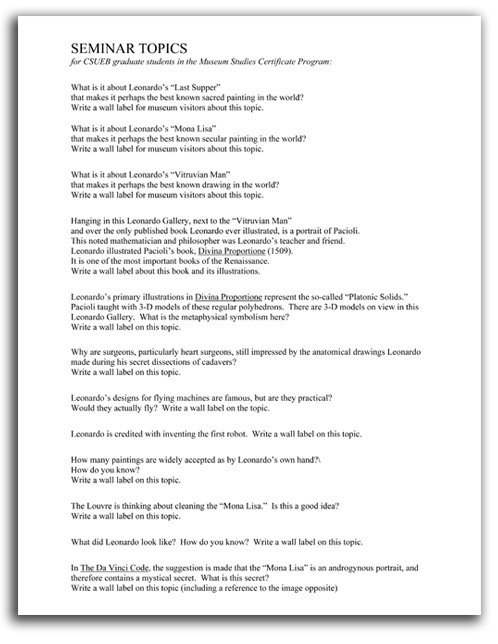 Oppenheimer in 1970 asked FLG to join the Advisory Board and write a master plan for the Artists-in-Residence Program. Oppenheimer’s vision was profound. There are now various kinds of “exploratoriums” in major cities around the world. There are now plans for the Exploratorium to move to the waterfront. Three-year Plan for merging the de Young & Legion of Honor collections by National Schools. California Palace of the Legion of Honor to be the first exclusively French Museum in America. NOTE: These two museums, which had been competitive for many years, merged in 1972. This was to be the first time two art museums merged in order to be more efficient and better serve the public. 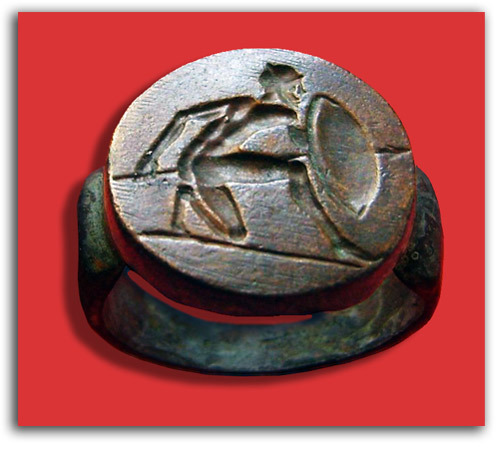 That became a model for other museum mergers around the world. 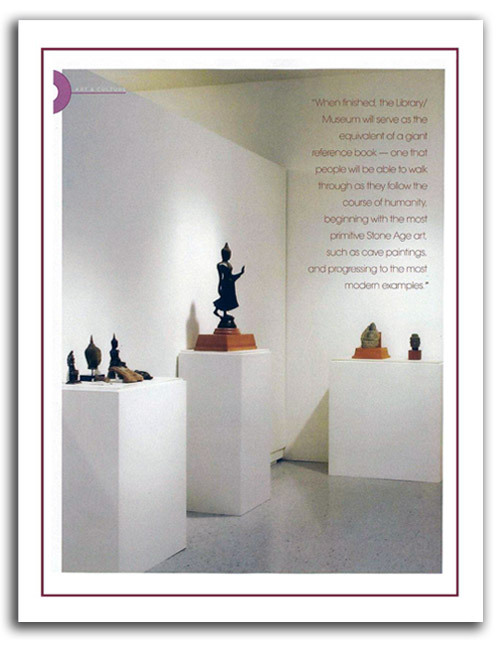 At FLG's suggestion, the name of the combined museums became The Fine Arts Museums of San Francisco (FAMSF). As Vice Director for Collections & Chief Curator, FLG was charged with the design and execution of a masterplan to merge the collections of the two museums. 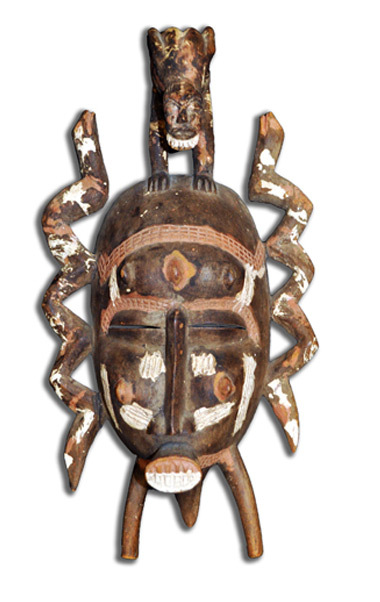 The most important action during Phase One of the general masterplan for the new museum was establishing a gallery for the collection of Africa, Oceania, & the Americas at the de Young under the supervision of Thomas K. Seligman, FAMSF's dynamic new curator of tribal art. (Tom went on to be Director of the Cantor Art Center at Stanford University.) 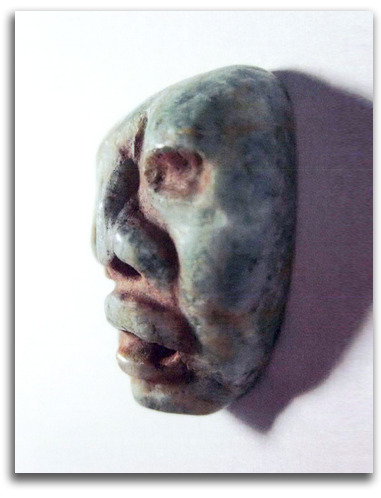 Much of this material, including a giant totem pole, had been in the basement for decades. 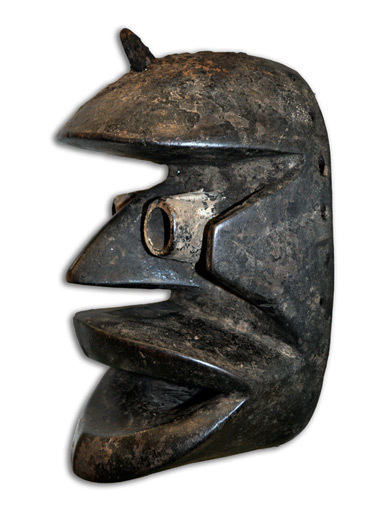 Tribal Art had long been displayed in anthropology museums but had little respect in American art museums. 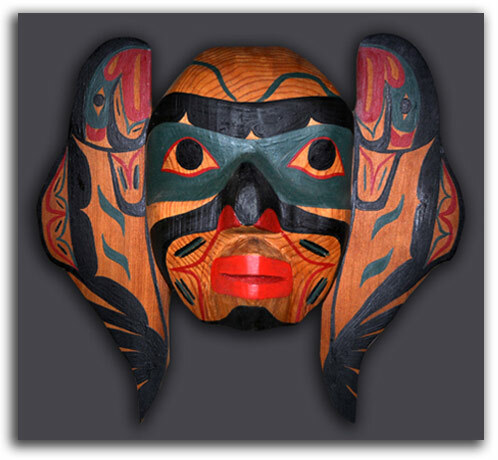 In the early 1970s, FAMSF was one of the first art museums to say tribal art is as important as any other art. Such actions changed the paradigm nationwide. 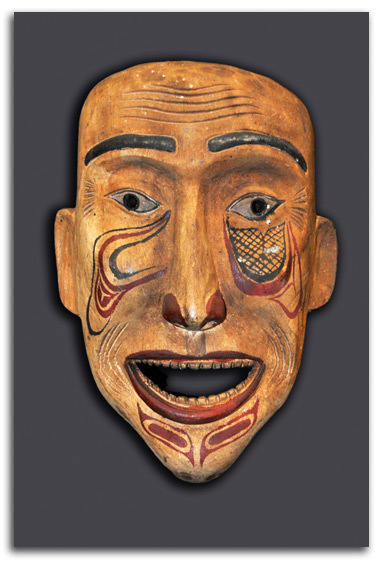 Now most American museums in most major cities have tribal galleries. For the first time, coast-to-coast, many African Americans, Mexican Americans, and Native Americans had something they could relate to. 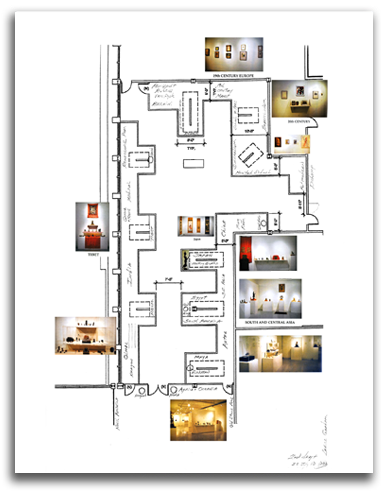 FAMSF MASTERPLAN: Medieval/Renaissance Galleries at the Legion. Program plan by FLG & Ian White, with Graeme Keith & Anna Bennett. 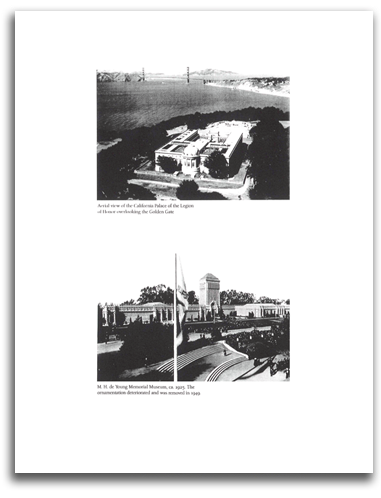 NOTE: FLG in 1970-71, as FAMSF’s Vice Director for Collections, wrote the program plan for the merging collections of the de Young & Legion of Honor museums. 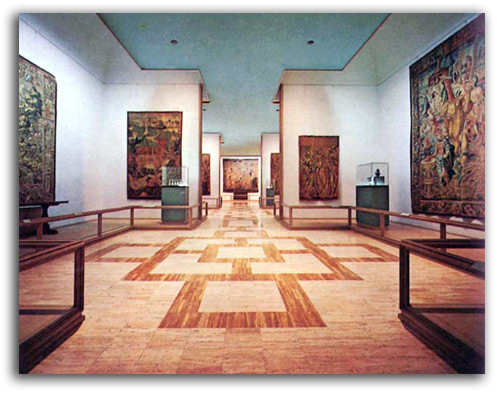 The complex implementation plan was completed in 1974, except for the American Galleries which later became the home of the Mr. & Mrs. John D. Rockefeller 3rd Collection of American Art – the most important private collection in the world. The Rockefeller donation was announced in 1978, after years of negotiations with Ian White (Director of FAMSF) & FLG (Chief Curator of FAMSF), negotiations that began in 1970. Ian called me in when it was time for both of us to meet with Mr. Rockefeller, or when it was time to plan the next stage in our strategic plan. Our working relationship was exceptional in the museum world where the top two staff people do not always see eye to eye. The trustees called us the Dynamic Duo. Ian said he thought we were like Réné d'Harnoncourt and Alfred Barr at MoMA. He did the people work and I did the art work. With the addition of this extraordinary collection, FAMSF had become a world-class museum. Add to that revised last sentence the following:had become a world-class museum. As the 1970s began, neither the de Young Museum nor the Legion of Honor had a very high national ranking. As the 1970s ended, the Fine Art Museums of San Francisco was being ranked in the "Top 10." A cluster of non-profit organizations in an old Army fort on the waterfront, primarily community-oriented service groups and ethnic museums & historical societies (e.g., Mexican American, African American, & Italian American). 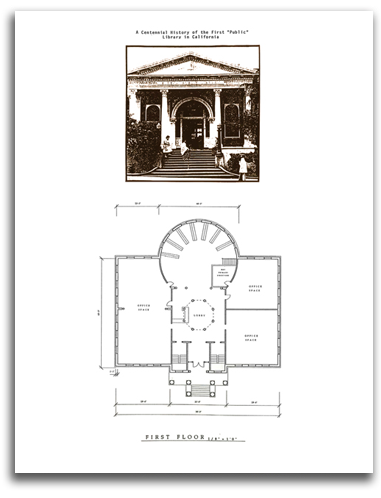 NOTE: Many organizations started innovative programs in the early days of the Fort Mason Center. FLG was called in to write a general master plan in 1977. 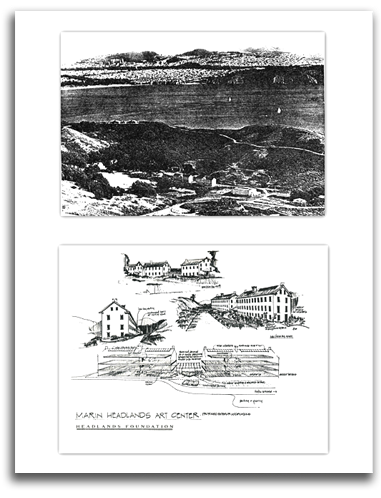 That led to his being hired by the National Park Service in 1979 to write a master plan for the Headlands Art Center. Ft. Mason Center has become a national model for re-programming old Army forts. An Artist-in-Residence Program in an old Army fort on the Pacific Coast. 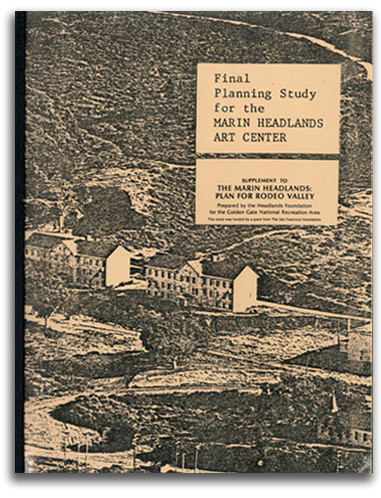 NOTE: MARIN HEADLANDS ART CENTER is now known as the HEADLANDS CENTER FOR THE ARTS. It is situated in an old Army fort in the Marin Headlands, a wilderness area overlooking the Pacific Ocean, far from the sounds of the city. It is located near Sausalito, California, in the Golden Gate National Recreation Center – the largest “urban park” in the United States. Its Artist-in-Residence Program is centered on artists who focus on nature. FLG was its chief planner (1979-81) & first president in 1982. He was assisted by a team of specialists he recruited to be associates of the Institute for Aesthetic Development for this project. From modest beginnings, the Center is now widely respected nationally and internationally. Many artists compete to spend several months in this idyllic setting. A comprehensive evaluation of a proposed cultural complex including plans for the Yerba Buena Center, S.F. Museum of Modern Art, Asian Art Museum, Ansel Adams Museum of Photography, and Legion of Honor collection (if the Norton Simon collection were to take over the Legion of Honor building in Lincoln Park). NOTE: The San Francisco Redevelopment Agency had responsibility for a large parcel of land in the heart of the city. 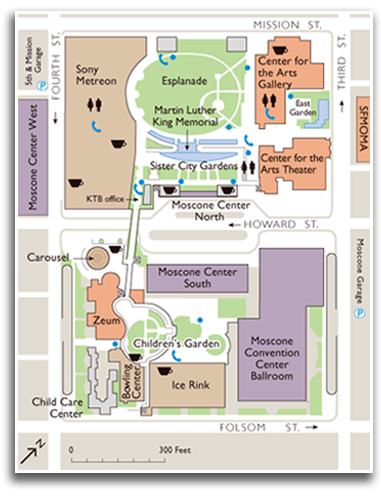 The primary institution was to be the Moscone Conference Center. The adjoining areas were being set aside for cultural institutions around a large park called Yerba Buena Gardens just south of Market Street (the main axis of the city) between Mission and Howard, 3rd & 4th. But which institutions should be given the land to build on? Because many museums were expressing interest, FLG was called in by the Agency to evaluate the social benefit of each museum’s proposal and of the museum-complex as a whole. Those wishing to locate there included the S.F. Museum of Modern Art, Asian Art Museum of S.F., the Ansel Adams Museum of Photography, the California Historical Society, and the Legion of Honor Museum (in case the city accepted Norton Simon’s proposal that he take over that legendary building – on condition that it be filled with his collection). FLG’s report concluded that all were worthy, and that the combination of these museums (in what FLG called the “San Francisco Art Park”), together with a community-oriented cultural center and live-work spaces, would be a major benefit to the city and the region for generations. The simple act of approving the MoMA and the YBC would attract other museums to the area. Stress was placed on the value of using existing structures whenever possible. Not all those museums decided to move to Yerba Buena Gardens. The Asian moved across from City Hall into the old City Library. Mr. Simon acquired an existing structure in Pasadena. 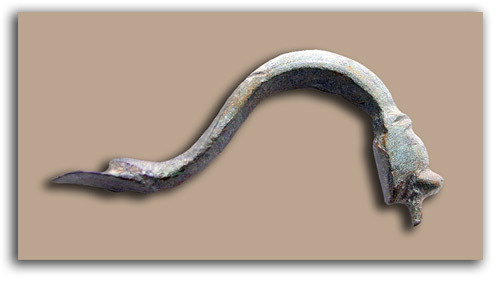 The Adams folded. But those that located there and have remained have proven to be dynamic, world-class institutions, especially the MoMA, the Yerba Buena Center for the Arts, and the recently opened Jewish Contemporary Museum that transformed an old power station at the north end of the complex. The Mexican Museum that started at Ft. Mason is planning to move next door. And the Cartoon Museum is not far away. 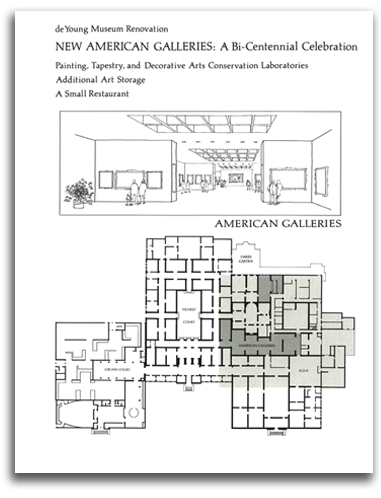 NOTE: FLG wrote a preliminary strategic plan in 1995 for a combined museum & performing arts center as a consultant to Holmes-Biord, Architects. The final plan was developed by the Humboldt Arts Council. They acquired the Morris Graves Collection to make this former Carnegie Library the most important California art museum north of San Francisco. 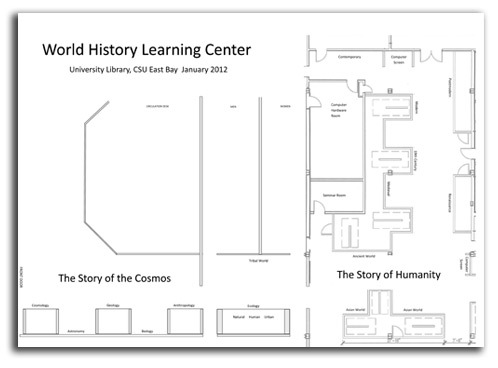 WORLD HISTORY LEARNING CENTER, with a detail of the first long wall of the Center, the Science Wall, which starts at the entrance to the Main Library and continues to the Humanities Wing. On this Science Wall will be told "The Story of the Cosmos" by means of a series of panels devoted to Astrophysics, Biology, Geology, etc. At the center of each panel will be not a traditional wall label but an iPad by means of which each visitor can explore that particular subject. After walking through that chapter of World History, one enters "The Story of Humanity" galleries, where there also will be iPads for each cultural area and era from the Stone Age and the Bronze Age to modern times. "How Good are Art History TV Programs?" 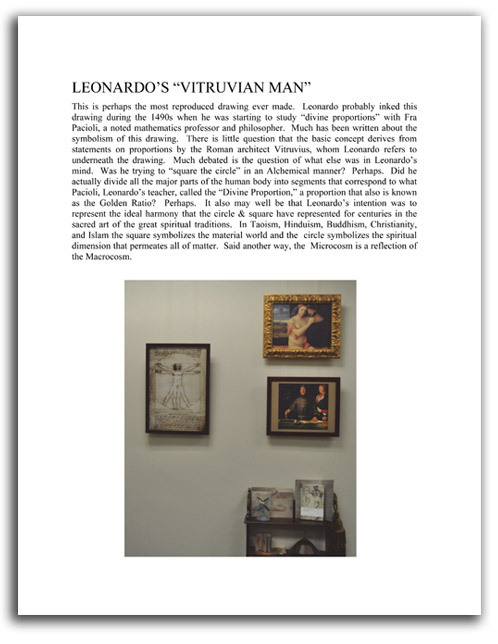 "How Good are Art History Videotapes Today?" 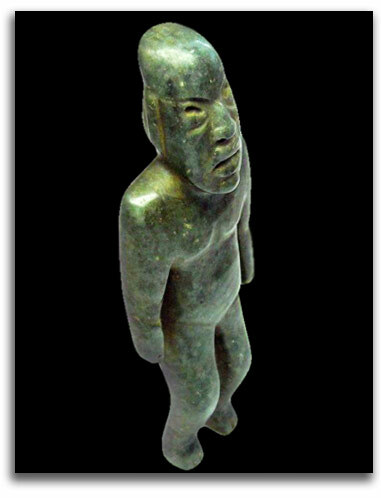 "Living Myths: An Introduction to World Mythology"
"Art in the United States, Colonial to Modern"
"Connecting Kenneth Clark's 'Civilisation' series with Local Resources"
regional "follow-up" programs with museum curators on local PBS stations. "The Rockefeller Collection of American Art is Now in San Francisco"
A 30-second TV PSA for the Rockefeller Bicentennial Exhibition in San Francisco. Funded by the Gerbode Foundation & IAD. Produced by IAD. "The Simon Museum is Waiting for You"
A 30-second TV PSA for the Norton Simon Museum. Funded by the Norton Simon Museum & a local TV Station. Aired regularly for months by that local TV station. A model for using the classic TV ad format for actual education. "Art of the Asian World"
A planning study for the producer of "Art of the Western World,"
In addition to lectures, seminars and symposia, IAD develops courses that fill gaps in university programs. Curriculum Planning has been done for Lone Mountain College, Antioch West, World College West, California Institute of Asian Studies, Naropa Institute, John F. Kennedy University, University of California/Berkeley, Humboldt State University, and California State University/East Bay. "New Media" courses that have been designed by IAD include two 4-unit undergraduate online courses in the Religious Studies Department of Humboldt State University (LIVING MYTHS: AN INTRODUCTION TO WORLD MYTHOLOGY, and GODDESSES IN WORLD MYTHOLOGY). Those courses (the first asynchronous online courses in the CSU system), were funded by IAD & HSU. They ran from 1996 to 2004, and received national attention as outstanding applications of the new technology of Real Audio. Following that, in 1999, IAD funded, designed, and managed a third online 4-unit undergraduate course called ART IN THE UNITED STATES. It was one of the most popular courses in the Art Department for a decade. in the IAD Headquarters in San Francisco. in association with Deborah Kirshman, the Program Director. where the undergraduate program became a graduate program in 2006. It has been attracting local, national, and international students since 2000. IAD develops innovative publishing models in the form of newsletters, study guides, exhibition catalogues, books, and electronic publications. Each new design is intended to solve a specific educational problem. 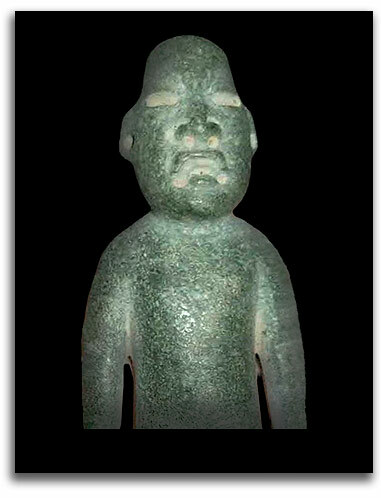 Among its most popular study guides are THE TRIBAL CULTURE OF OUR ANCESTORS, an introduction to general patterns of art and society in the Stone Age, Bronze Age, & Iron Age; and RHYTHMS & REVERBERATIONS: ETHNIC ART IN THE UNITED STATES, an overview of African American, Asian American, Hispanic American, & Native American traditions in the contemporary world. The two best known books published in association with IAD are THE RAINBOW BOOK, 1975, 1976, & 1979, an encyclopedia of color symbolism from ancient to modern times, and GODDESSES IN ART, 1997, a richly illustrated survey of sacred art from many spiritual traditions. It has sold over 100,00 copies in four languages. THE RAINBOW BOOK was hailed as “phenomenal" and “a prototype in...publishing.” GODDESSES IN ART was called “...far and away the best” and “...one of the most fascinating volumes in our history.” IAD’s “$1 color catalogue” of the King Tut exhibition in San Francisco also was a national model. It sold 300,000 copies. IAD members created the first TV-PSAs in the United States for art museums: for the John D. Rockefeller Collection of American Art at the de Young Museum (1976), and for the Norton Simon Museum of Art (1989), and pioneered America’s first asynchronous internet courses that were illustrated lectures linked with RealAudio: Humboldt State University (1996). 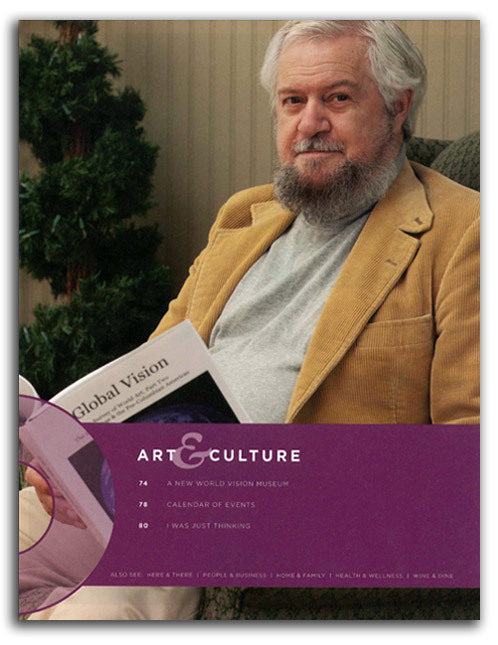 Most recently, the Teaching Collection of IAD has been published in the three volumes of GLOBAL VISION: A SURVEY OF WORLD ART, vol. 1 2006, vol. 2 2008, vol. 3 2010. Hundreds of those IAD images have been posted on the website of San Jose State University, providing access to over 400,000 students in the CSU system of 23 campuses throughout California (see website at http://worldimages.sjsu.edu/prt1627). 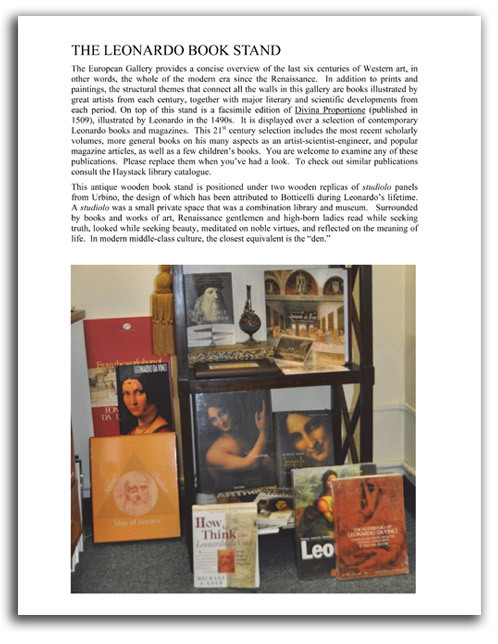 For many years IAD also has distributed to students, without charge, articles from the scholarly periodicals of World Art Press. 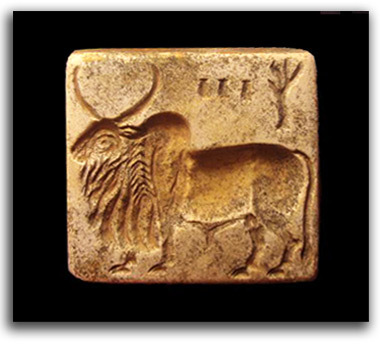 IAD organizes educational exhibitions and lends works to other exhibitions from its Teaching Collection of World Art. Selected works have been exhibited in Australia, Germany, Spain, and the United States. 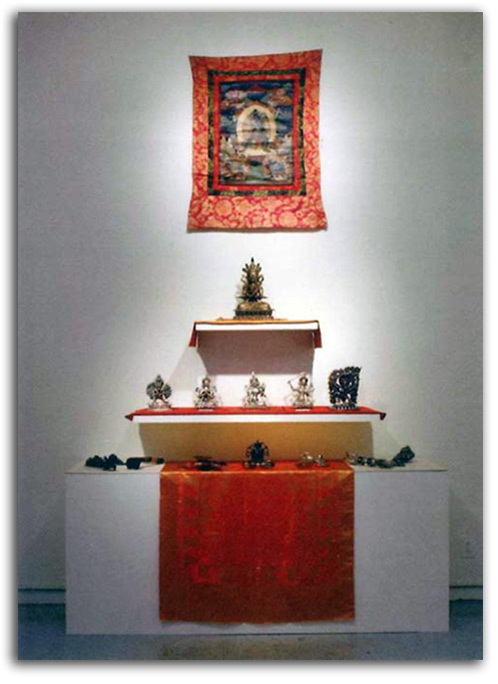 For example, IAD was a lender to "Shamanic Power Objects," "Stones & Bones that Speak: Inscribed Chinese Art," "The Lion's Roar: Tibetan Thangkas from the Sakyas," "Zen & Modern Art," "Flaming Pages: The Illuminated Books of William Blake," "Dreaming in Color: the Art of Matisse," "Impossible Realities: Marcel Duchamp & the Surrealist Tradition," "Marcel Duchamp: Artist-Humorist-Philosopher," "Robert Rauschenberg: Artist-Citizen," and "Andy Warhol & Social Consciousness." 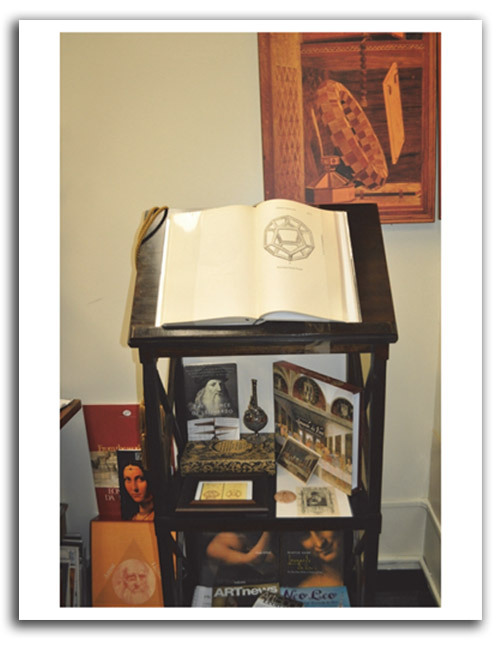 IAD was the primary lender to "The Art of the Book," "Nature Symbolized: Turn-of-the-Century Bookbindings," "The Image of Nature in Modern Art," "Ansel Adams: Photographer of Nature," "Symbols of the Earth Spirit: Shamanism, Taoism, Hinduism, & Buddhism," "Symbols of the Sky Spirit: Judaism, Christianity, & Islam," and "Global Vision: A Survey of World Art." 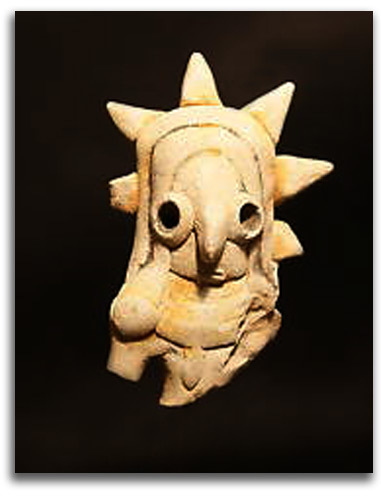 Institutions that have exhibited works in the IAD Collection include the Norton Simon Museum of Art, Pasadena; the Art Museum of Stanford University, Palo Alto; the Museum of Modern Art, New York; and the National Gallery of Australia, Canberra. 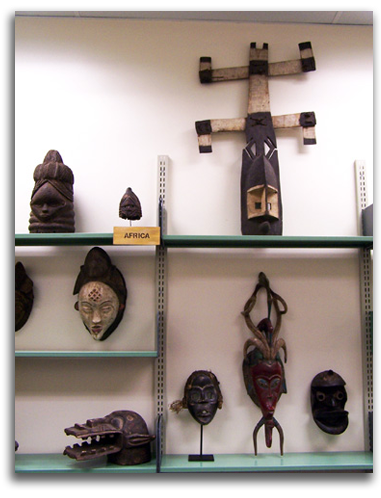 A large portion of the IAD Collection was donated to California State University, East Bay in 2010 to be the core of a World History Learning Center. 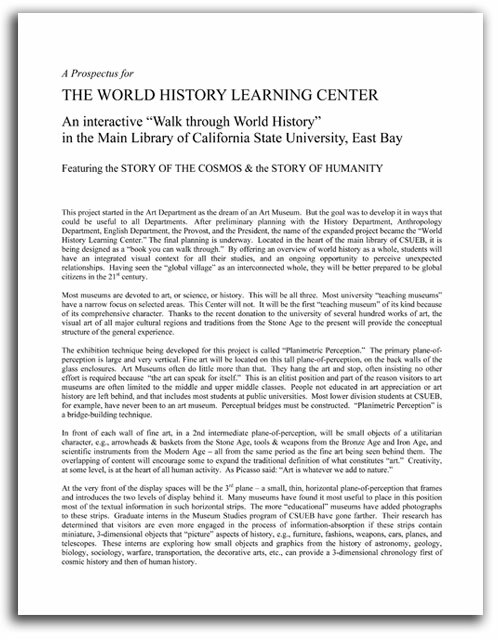 The largest exhibition project of IAD in recent years is the World History Learning Center at CSUEB. 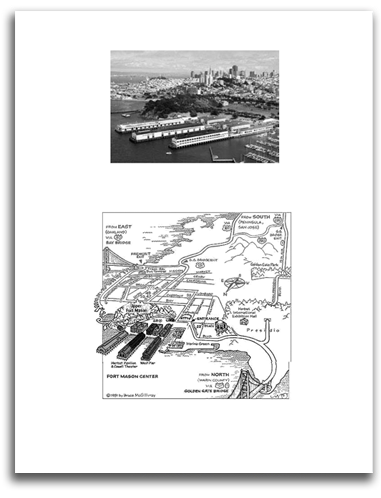 Several years ago at the request of the Art Department, the Dean of the College of Letters, Arts, & Social Sciences at CSUEB asked IAD to prepare a Preliminary Planning Study for a possible Teaching Museum on the Hayward campus. The faculty of the Art Department was animated by the conviction that teaching Art History with slides and books is good but teaching with actual art is better. The professors did not like that they had to send their students to other cities to see actual art. The conclusion of the IAD study was that such a Teaching Museum would be both desirable and possible. The ideas explored were a new building for about $25 million, or a new wing on an old building for about $5 million. The Art Department, its students, the Dean, Provost, and President all liked the idea and put the concept into the University's long-range List of Priorities, with three modifications: It would be better to locate in an existing building, and it would be ideal if the Teaching Museum could serve not only the Art Department but also the University as a whole. And it might be better to call it a Learning Center. What would such a Center look like? 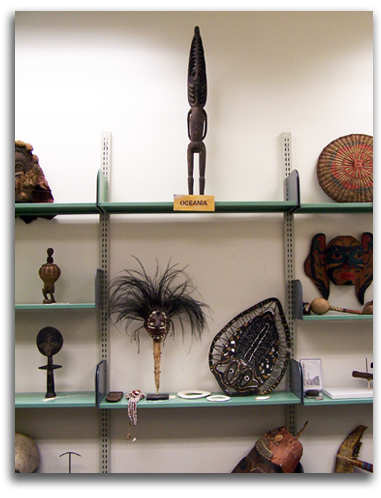 Planning for the project was taken over by students in the University’s Museum Studies Certificate Program as a long-term project. 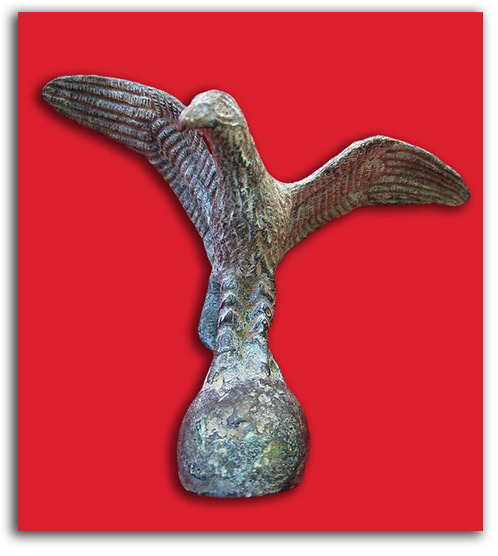 This graduate program, one of the few in the United States, was developed by IAD and continues to be managed by IAD in cooperation with the Art Department of CSUEB. In was clear from the beginning that the process of planning the Center would take years, and would be a good learning experience for students learning to be museum curators, registrars, and educators. Each term students took on aspects of the planning problem. The following photographs document stages in the six-year planning process. 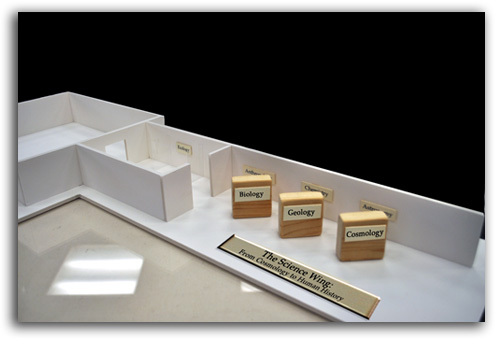 In 2005 the first concept model was constructed by Museum Studies students and presented to the interdepartmental planning group. The project was encouraged. 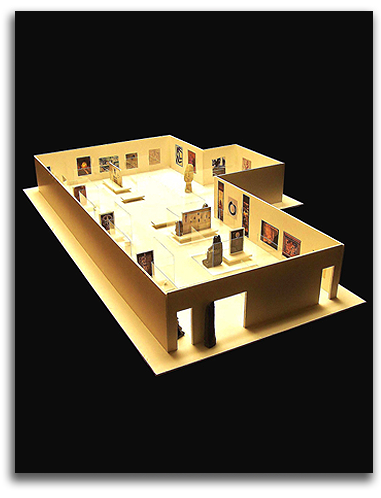 Using loans from IAD’s Teaching Collection of World Art, planning began for a series of exhibitions in the University Art Gallery that would be full-scale models for various galleries in the proposed Center. 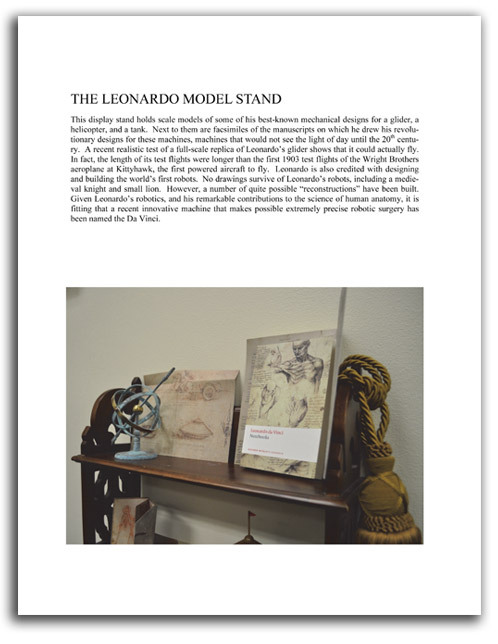 The planning process for these prototype spaces began with a selection of objects being made by members of the CSUEB faculty of Art and the CSUEB faculty of Anthropology together with students in the Museum Studies Seminar and the Gallery Advisory Committee. 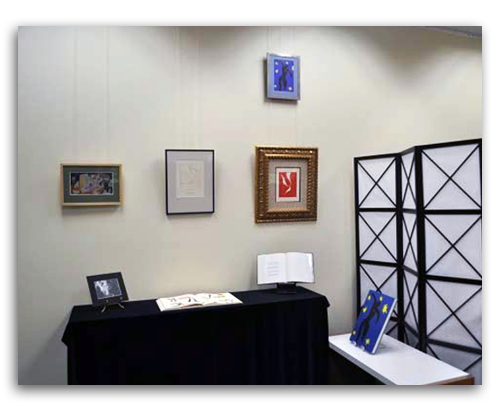 Then two substantial exhibitions in the 3000 square foot space of the University Art Gallery were designed and installed by CSUEB students working with the Gallery Director and the Gallery Advisory Committee. 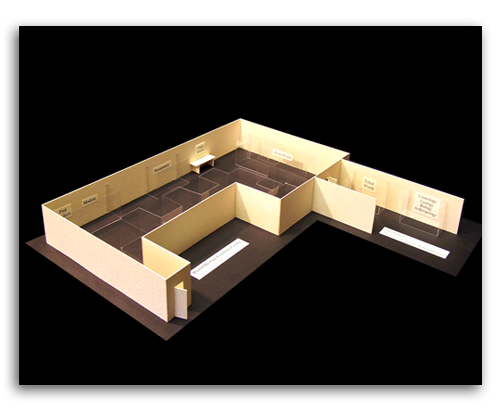 The first large prototype exhibition took place in 2006. 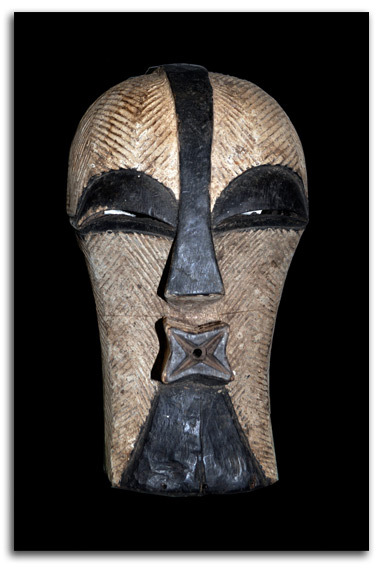 It was devoted to the art of Africa, Oceania, Asia, and Modernism. 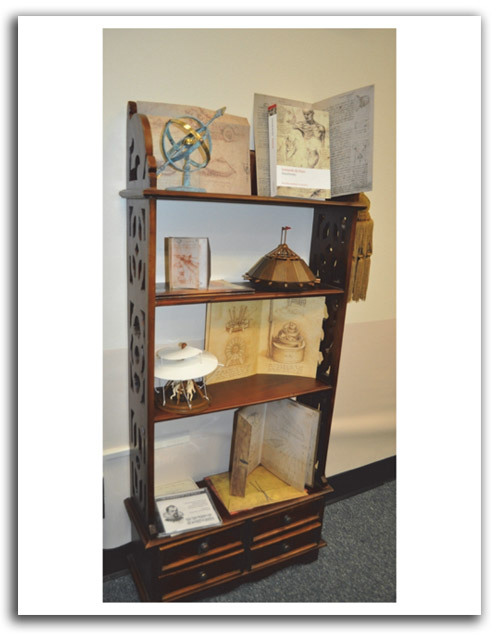 All the displays were labeled, photographed, and published by a team of faculty and students. Evaluations were made by faculty, by students from a number of Departments, and by the Gallery Advisory Committee. All the evaluations were quite favorable. 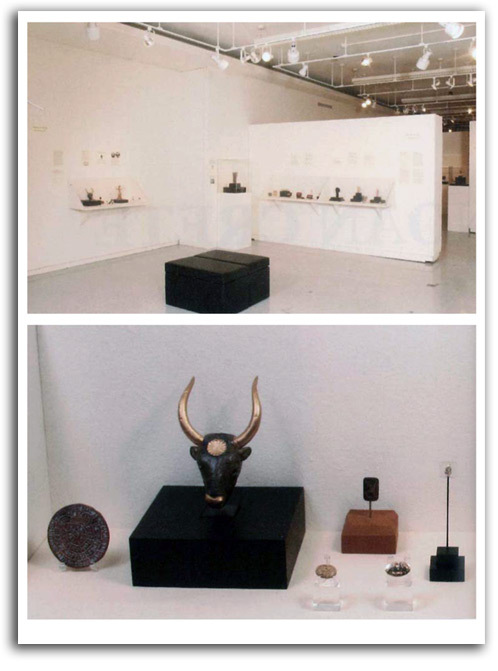 [installation shots of 2006] The second large prototype exhibition took place in 2008. 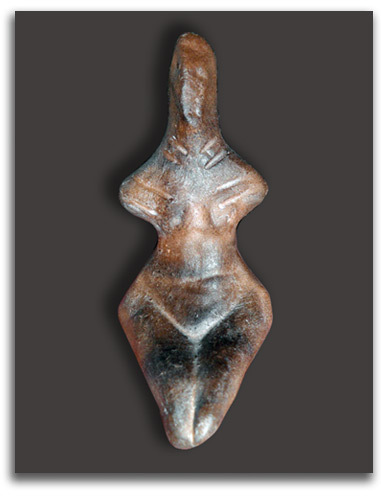 This exhibition was devoted to tribal art of the Stone Age, and art of the Bronze Age in West Asia, Egypt, Crete, and East Asia. 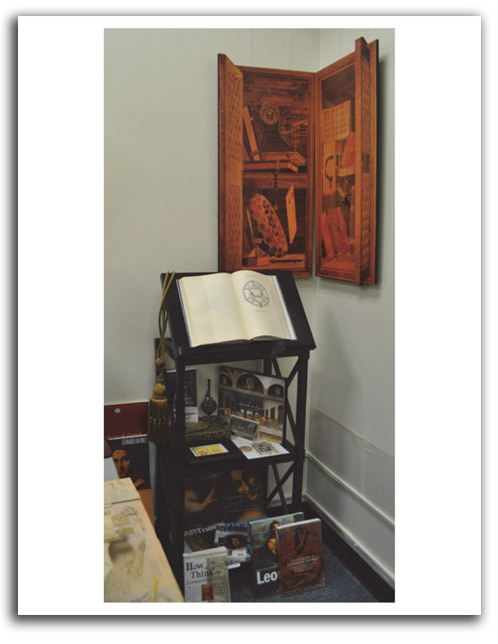 All the displays were photographed and published by a team of faculty and students. More evaluations were made by faculty, students, and advisors - all of them quite favorable. Meanwhile, after a search of all the buildings on the Hayward campus, space for the proposed Center was located in the Main Library. The University Librarian offered an entire wing of the building believing that such an innovative resource is just what a 21st century library should include. Planning started in the Upper Mezzanine with the development of a possible architectural design. 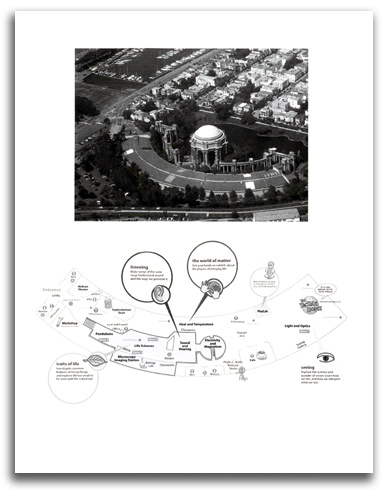 The first Program Plan for that design was developed by the Museum Studies Seminar group after a review of all the possibilities suggested by the IAD exhibition of 2006. 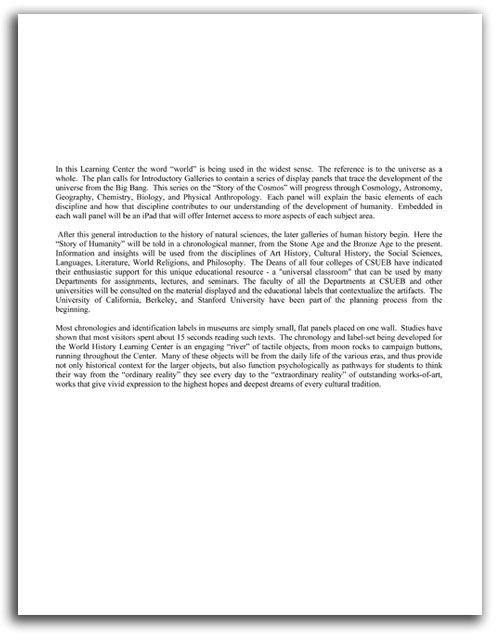 The preliminary Program Plan was then rendered by the University Architect [Click here for plan]. At the same time, work continued on the conceptualization of a facility that could serve the whole University. Advice on planning was being received from the faculties of Anthropology, History, and Sociology, as well as from professors and curators at other Bay Area institutions. The question was not merely how to develop an art museum, but how to develop a Learning Center of a new type, a Center that would be simultaneously a “museum” of Art, Science, and History. Especially enthusiastic support and strategic advice came from the Dean of Education and the Dean of Science at CSUEB, as well as from many advisors at other colleges, universities, and museums including UC/Berkeley and Stanford. While the specific objective of the Museum Studies planning process was to design a program plan for CSUEB, the students also were animated by the belief that such a “Universarium” could be on every college campus. The floor space need not be large. The cost of conversion can be modest, and the rewards can be considerable. The major architectural change is removing bookshelves and replacing them with display cases. 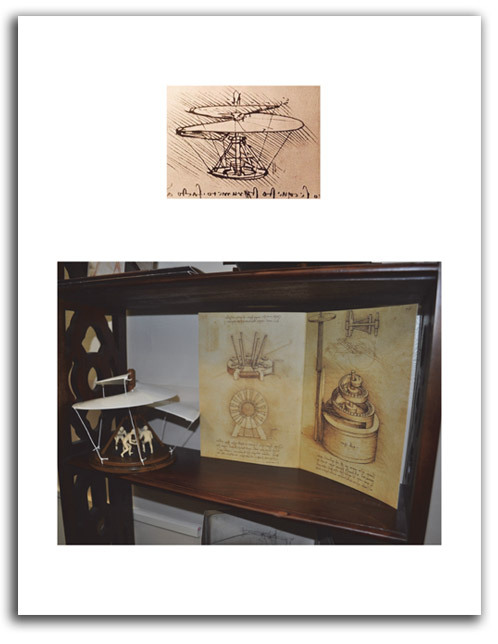 The ideal Teaching Collection of Art, Science, & History would be a donated collection. 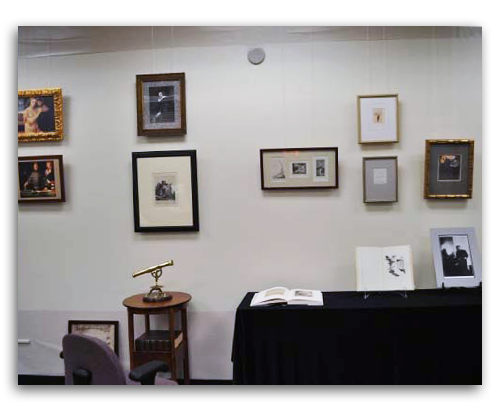 If not possible, the cost of developing a Teaching Collection of Art, Science, & History at a medium-sized university would not be enormous if the curator selects examples that are good but not large. 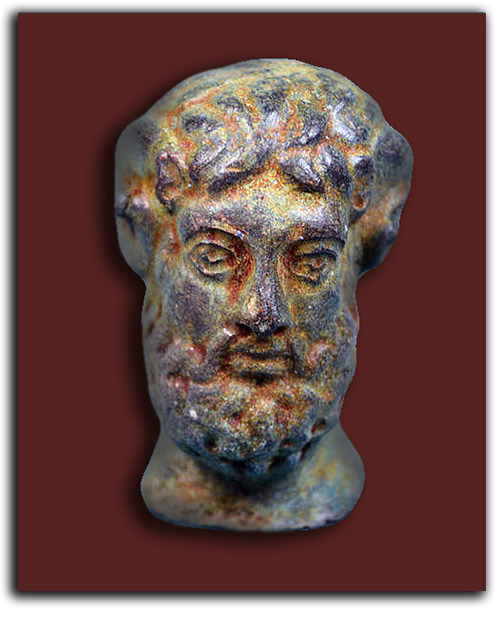 At a small college, for very little money, a Teaching Collection can be assembled not with costly original artifacts and works-of-art but rather with museum-quality replicas and reproductions. 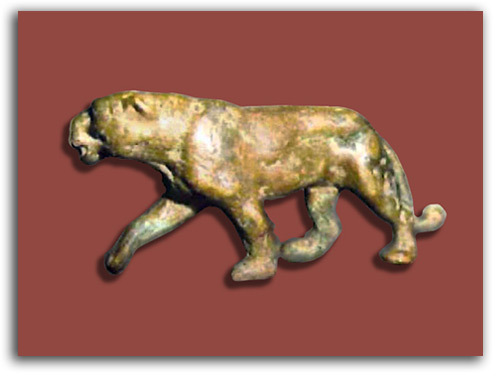 This kind of Teaching Museum, based on replicas, has been part of academic practice for many years, in a wide range of educational institutions, from Art Academies in Europe and the United States (filled with casts of Greek statues), to any number of museums of art and archeology around the world. Given the extreme enthusiasm for “The Dream” of a Learning Center coming from the University’s faculty, student body, and administration, IAD’s Board of Trustees decided in 2009 to move forward “The Dream” by donating to CSUEB most of the IAD Teaching Collection of World Art to be the core of the Center’s collection. The IAD donation was completed in 2010. It received a good deal of publicity not only because it would serve a particular university but also the whole community of San Francisco’s East Bay [Click here for articles]. Very soon thereafter a team from the office of the Vice President for Advancement began planning a fundraising campaign that was given formal approval by the Provost at the end of 2011. Meanwhile, the Museum Studies Seminar was at work on solving detailed installation problems in laboratory spaces inside the Main Library. IAD’s name for such a room is a “classroom-gallery.” This is a new term in the language of educational institutions. 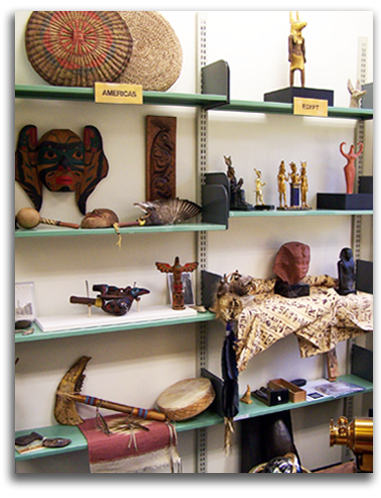 It means a classroom that also is a small gallery of objects – an art gallery or science gallery, or history gallery. The objective of the class is to design the space in the most educational manner possible. 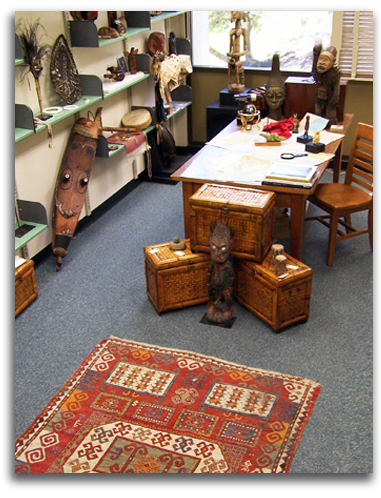 The concept of teaching inside such a dedicated space was formulated and named by IAD in 1976 as an ideal learning environment for Museum Studies students when IAD was asked by UC/Berkeley to create a model for teaching advanced Museum Studies at their university. 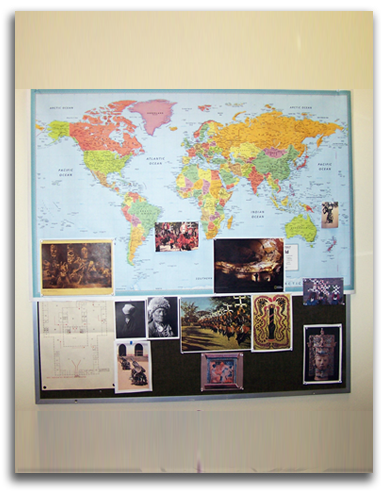 The most recent installation refinements in corners of the Classroom-Gallery of Modern Art were cluster-displays of original artifacts and replicas based on themes, e.g., World Religions [Click here], American Civil War [Click here], Art Nouveau [Click here], 20th century Decorative Arts [Click here], and 20th century War [Click here]. 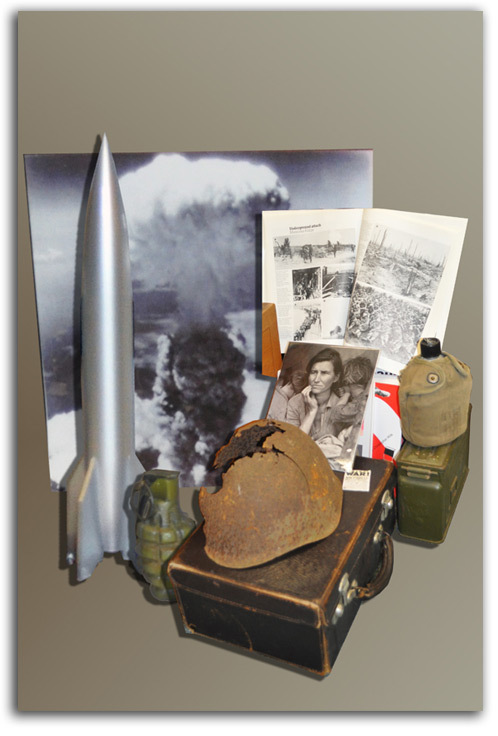 The cluster-displays under construction include: TRANSPORTATION, Part 1: Carts, Ships, & Trains; TRANSPORTATION, Part 2: Planes, Rockets, Sputnik, & the Hubble Telescope; WOMEN’S SUFFERAGE & PRESIDENTIAL CAMPAIGNS with Posters; CIVIL RIGHTS with photographs, leaflets and a button from the 1963 March on Washington. Evaluations of these Classroom-Galleries by faculty, students, administrators (including all four of the college deans), and advisors were quite positive. 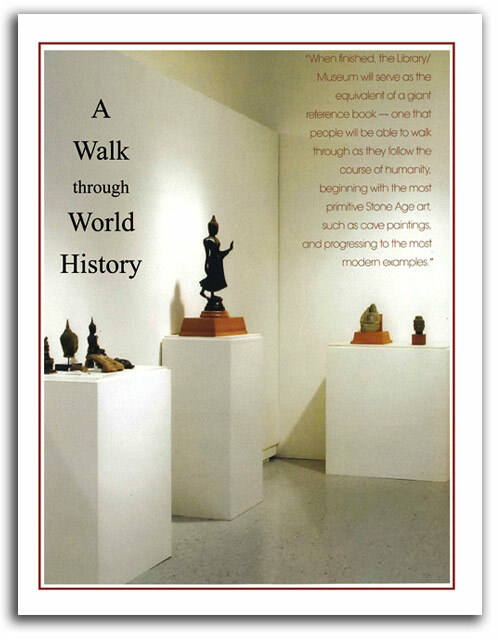 Museum Study Seminar teams also produced the brochures in which the design of these Classroom-Galleries were published by IAD. Highly professional scale models of the final architectural designs also were produced by an IAD intern. [Click here for Model #1 of 2011]; [Click here for Model #2 of 2012]. 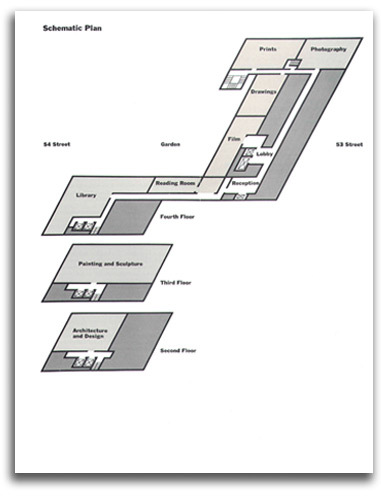 The final floor plan was rendered by the University Architect [Click here for 2012 floor plan]. 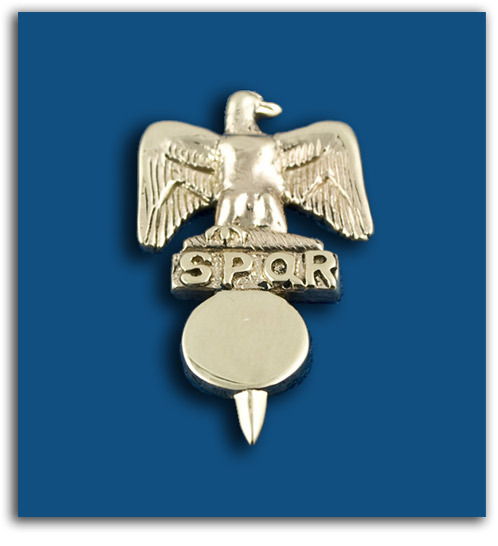 The fund raising campaign with approaches to individuals, foundations, corporations, and government agencies has begun. 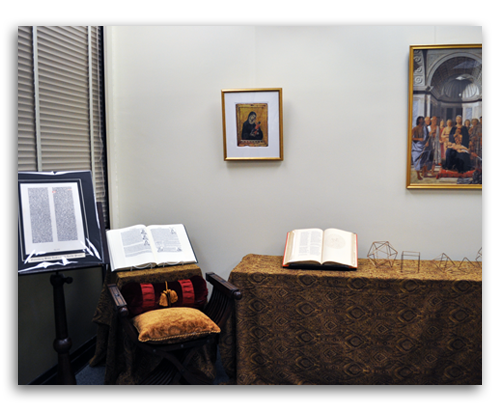 World Religions display: Taoism, Hinduism, Christianity, Islam, Judaism, Buddhism. 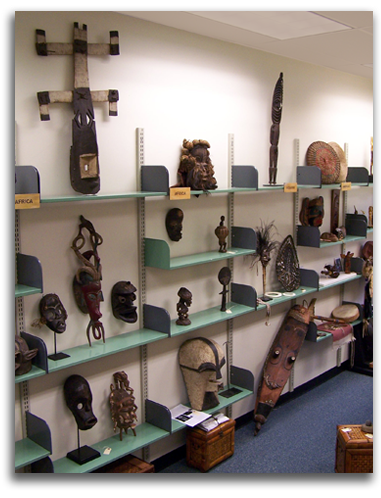 Since the 1970s IAD has been developing a Teaching Collection of World Art. 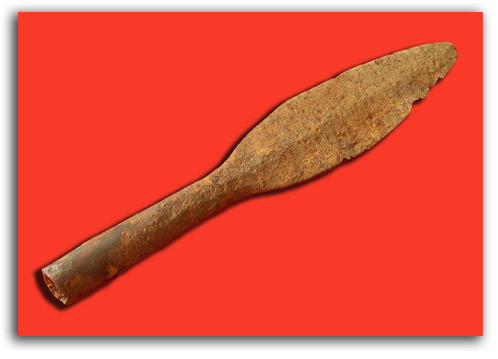 Its short-range purpose has been to provide teaching aids to history professors wishing to teach with more than slides and books, and to fill gaps in the exhibition and publications programs of museums that request specific objects. 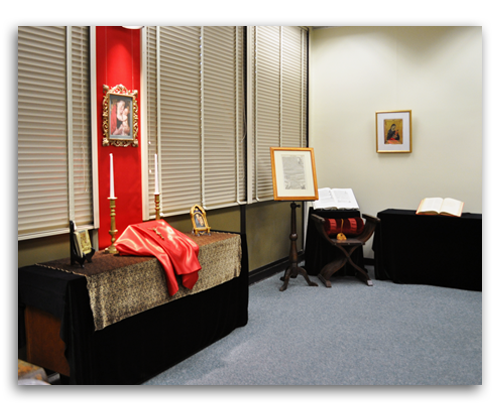 The long-range purpose of IAD's Teaching Collection of World Art has been to develop a unique World History Learning Center as a new kind of interactive Teaching Museum at a university. In an age when students read less and look more, the dream is that the first such Learning Center will become a model for a "universal classroom," helping students to appreciate all cultural traditions in order to become global citizens. 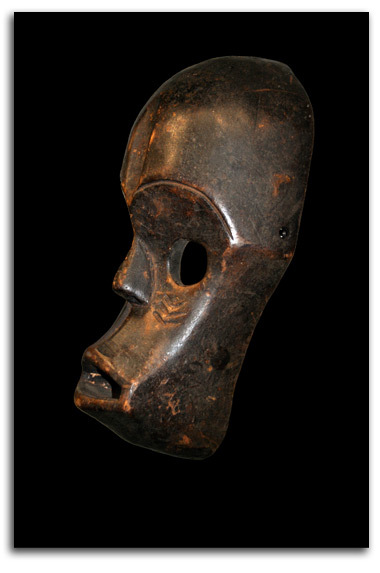 The genuine artifacts in the IAD Collection come from all the major eras and cultures of world history: African, Oceanic, Asian, Ancient, and Western, from the Stone Age to the present. 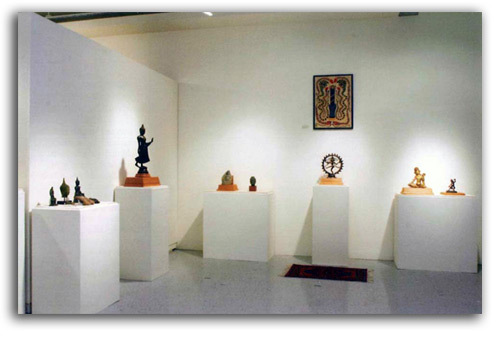 IAD objects over the years have been used in many courses on World Art, Sacred Art, Renaissance Art, Modern Art, Contemporary Art, Multicultural Art, World Religions, and World Mythology, and have played a major role in the Museum Studies classes administered by IAD. 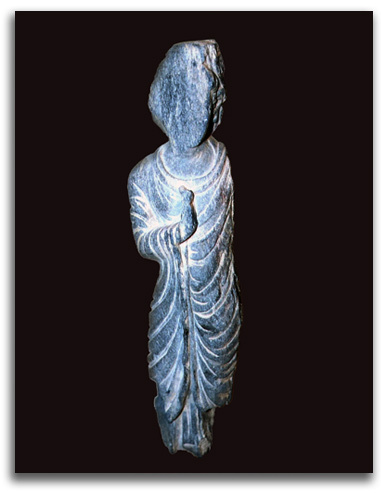 Works of art from the IAD Collection also have been exhibited in a number of university galleries and museums, such as Stanford University; California State University; Museum of Modern Art, New York; Norton Simon Museum, Pasadena; and the National Gallery of Australia, Canberra. 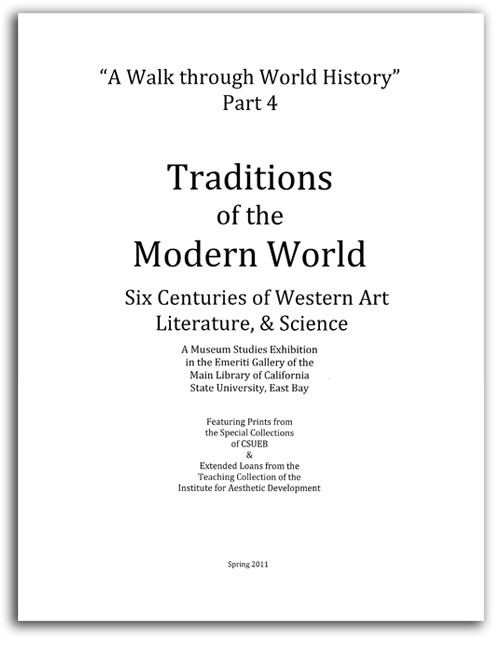 A major portion of the IAD Collection of World Art was donated to California State University, East Bay, in 2010 to form the core of the first World History Learning Center. When fully funded, this will be the first Learning Center of its kind in the world. Planning it has been IAD's primary project for many years. 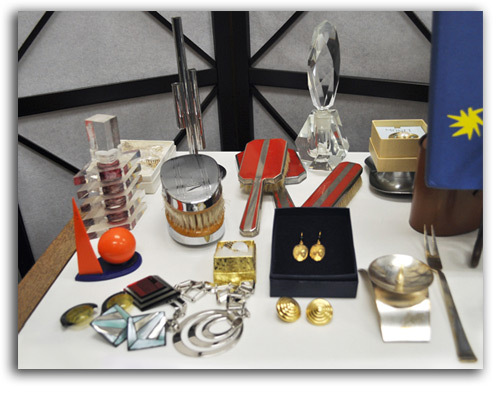 More works of art will be donated to CSUEB in the future to round out their core collection. 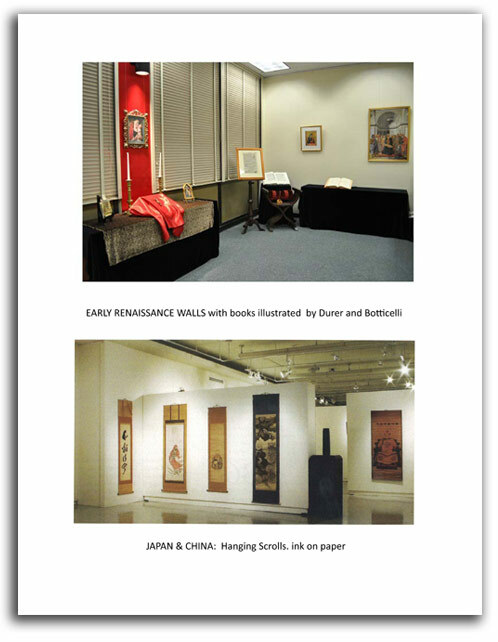 Over the same period, IAD has developed a parallel collection - a Library of World Art - in order to catalogue the IAD art collection, publish educational literature for students and scholars on topics not covered elsewhere in an accessible manner (books, study guides, and articles), and eventually to donate volumes to university libraries that need such books. Hundreds of volumes have been donated to California State University, East Bay. From time to time IAD donates works of art from its Teaching Collection and rare books from its Library of World Art to other educational institutions, for example: Norton Simon Museum, Pasadena; Los Angeles County Museum of Art; Fine Arts Museums of San Francisco; University of California at Los Angeles (UCLA); Georgetown University, Washington, D.C.; Pequot Indian Museum, Mashantucket; and the Vedanta Convent, Santa Barbara. 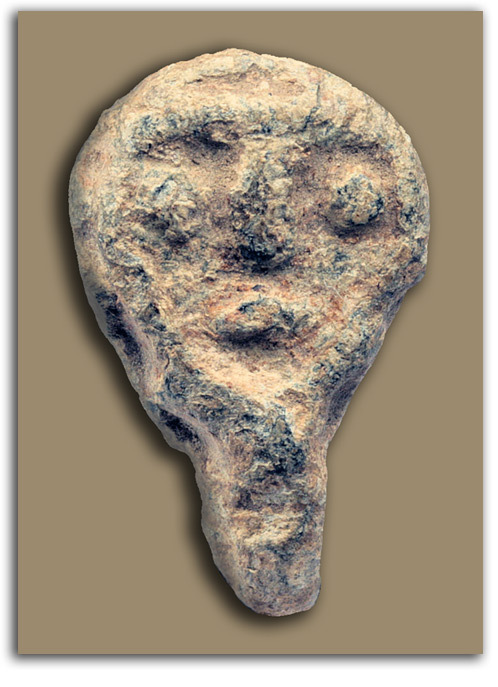 NOTE: This is one of a number of Celtic sculptures that has two faces. 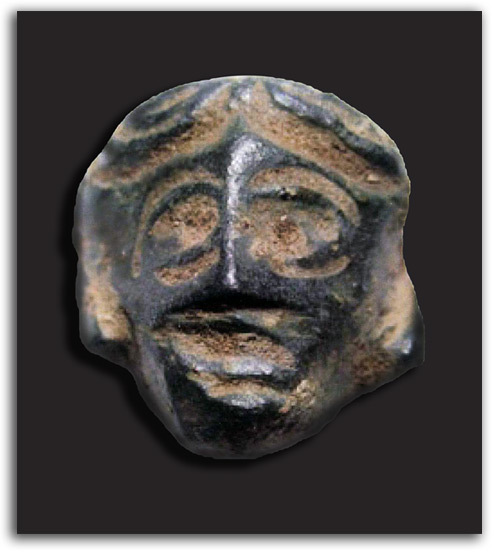 This head could well be a representation of the deity known on the continent as Lug or Lugus (Irish: Lugh; Welsh: Llue). 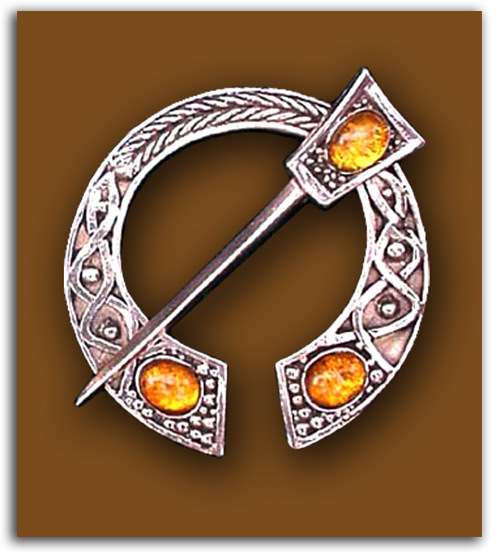 His name has been translated as “Shining One” or “Bringer of Light.” He probably was the son of the supreme male deity and the supreme mother goddess, and certainly was one of the most widely worshipped of Celtic deities. 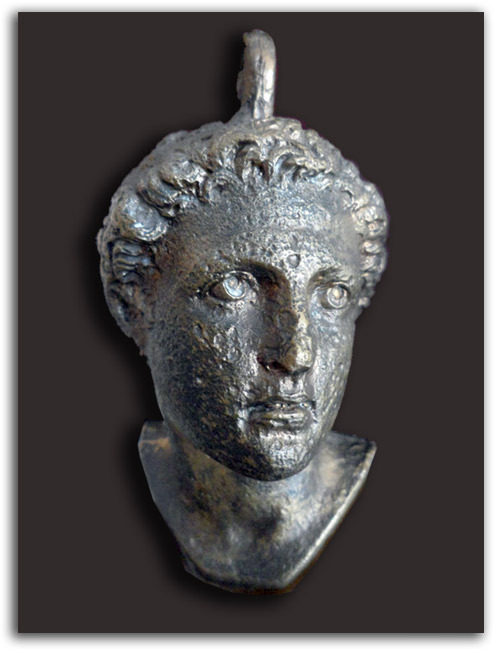 The Romans compared him with Mercury (Greek: Hermes). Among other things, it was he who gifted humankind with all the artful skills, protected trade, and guided souls to the afterworld. 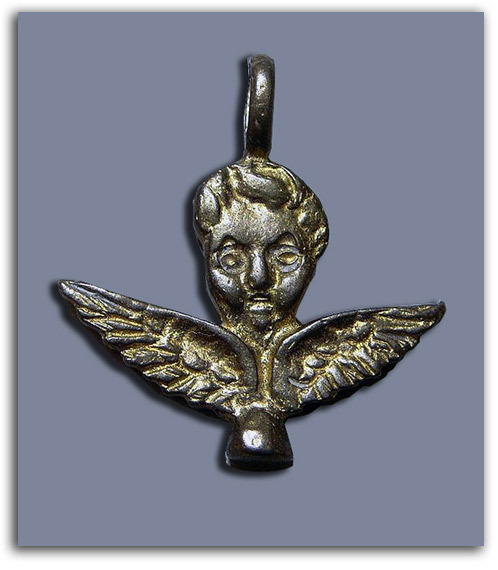 Like the caduceus of Mercury, this Celtic deity is frequently associated in sculpture with the Double-Serpent. NOTE: Horses were extremely important to the Celts. 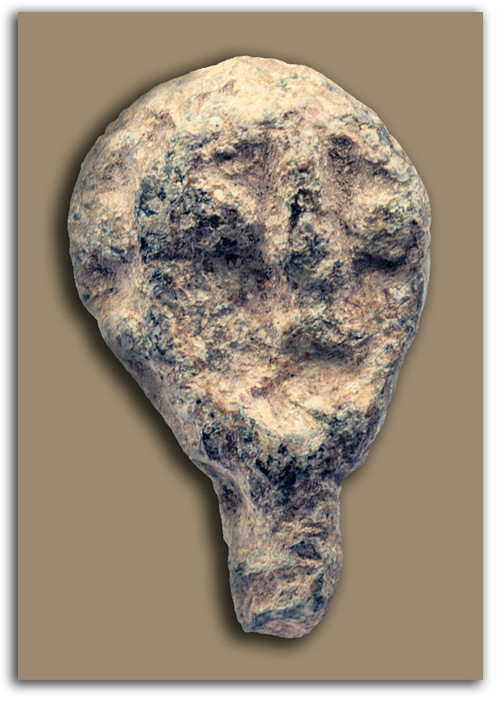 Indeed, these Indo-Europeans may have been among the first to know how to ride horses. 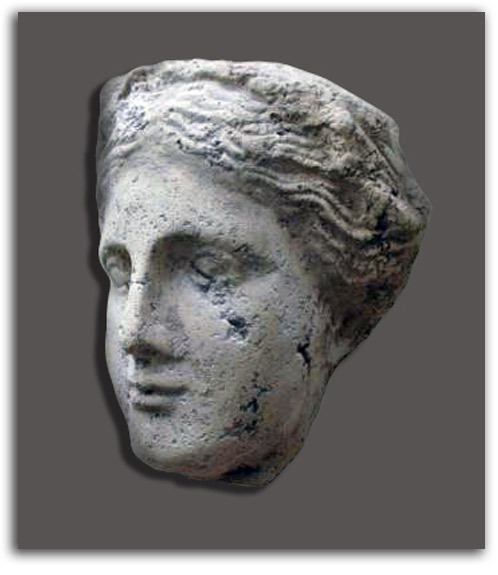 Their much beloved horse goddess was Epona. 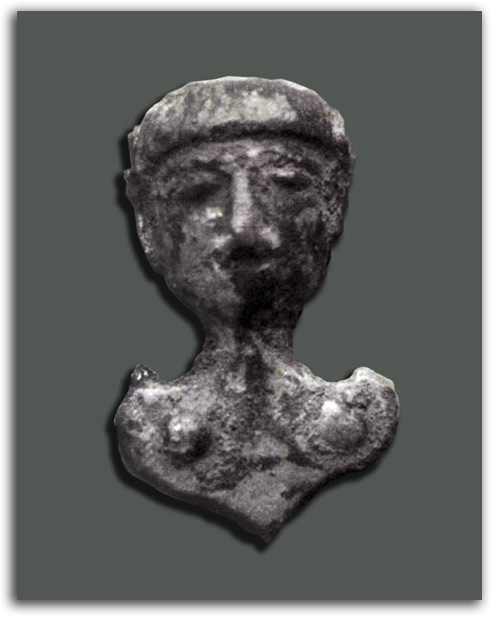 She was the only Celtic deity adopted by the Romans. 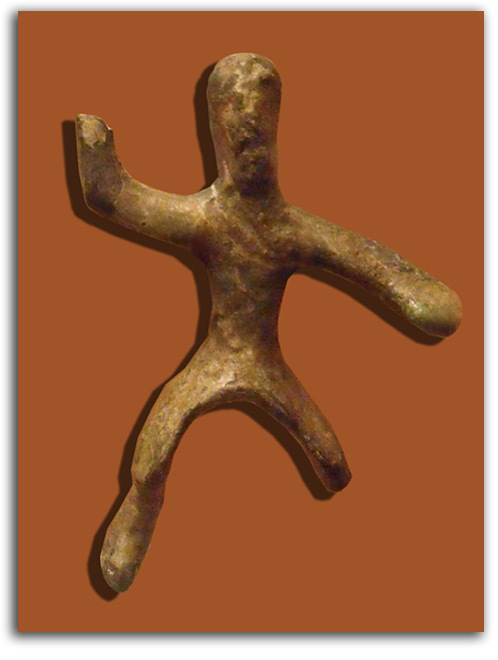 [See above: COINS] This dynamic, highly abstract figure of a rider on his horse seems to have been executed early in Celtic history, before the naturalistic influence of Greek and Roman realism. 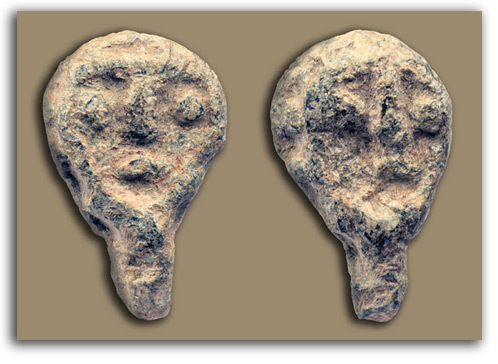 The Celtic artist was not so much concerned with that urban “classical tradition” which delineates the appearance of the surfaces of faces, figures, and things. 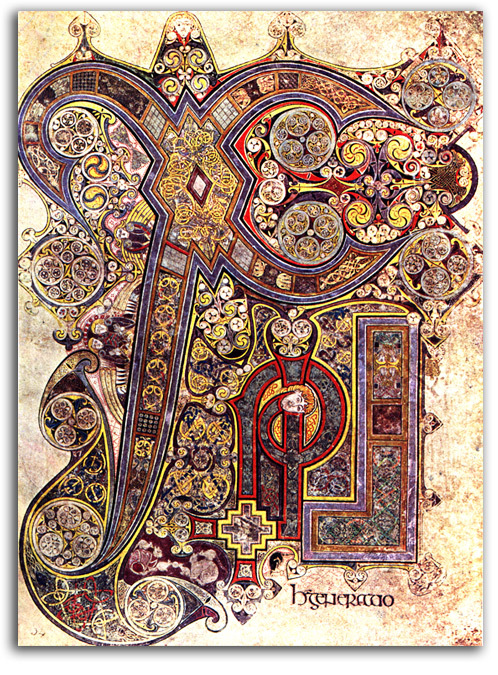 Rather, the Celtic artist uses pictorial form as an expression of the internal energies of the world. Form is a force. 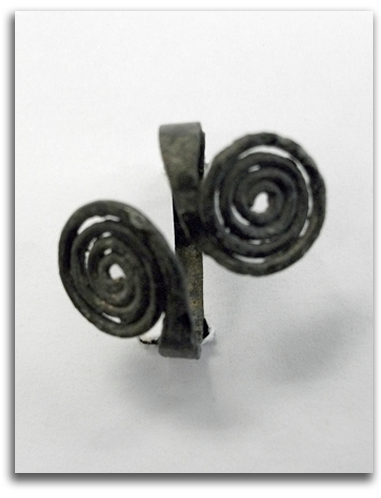 NOTE: A torc usually is defined as open-ended neck ring, but smaller ones were designed for arms and wrists. 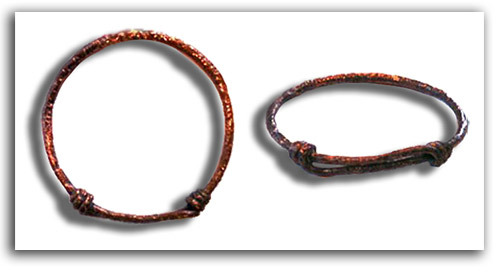 Torcs were worn by Celtic men and women. 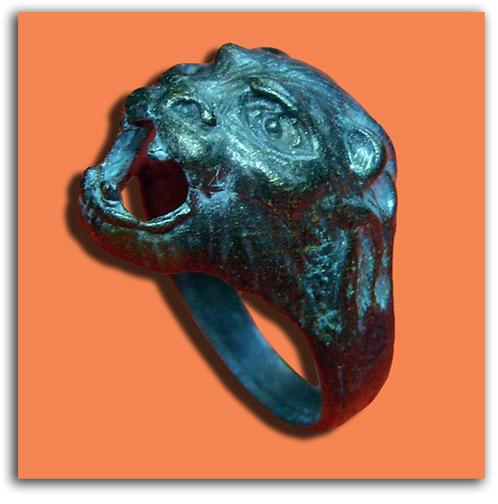 High status individuals wore heavy rings of twisted metal, often of gold. 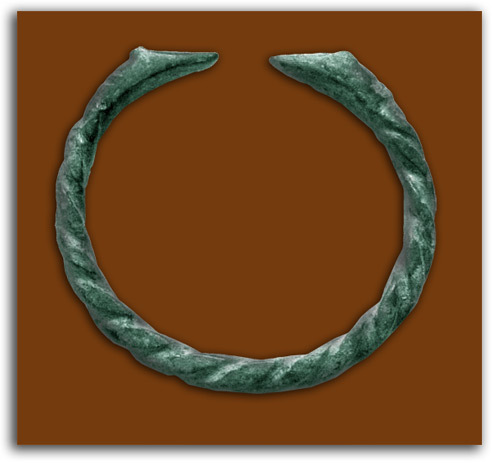 People of lesser status wore more simple neck rings and bracelets, often of bronze. 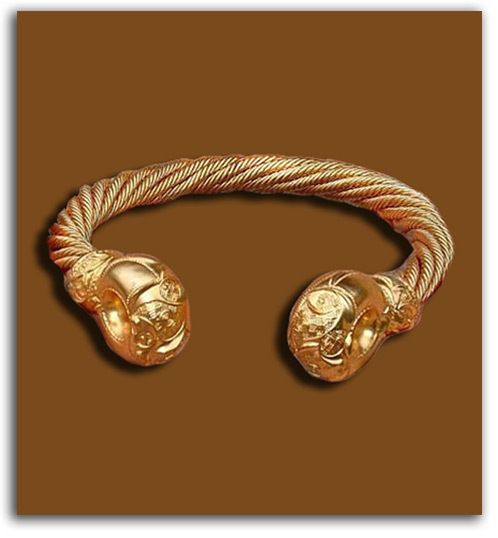 Some torcs are so large and heavy they could not have been worn. 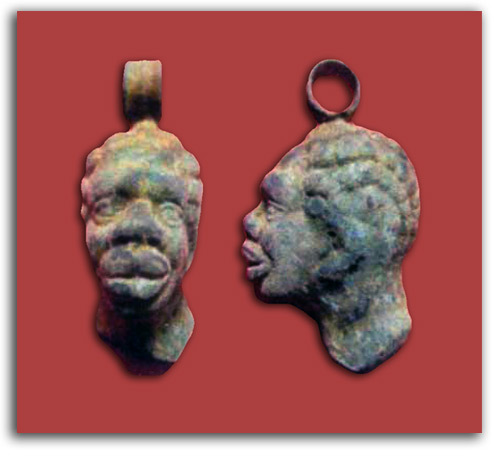 They probably were offerings to deities, deities who were pictured in contemporary art wearing torcs. 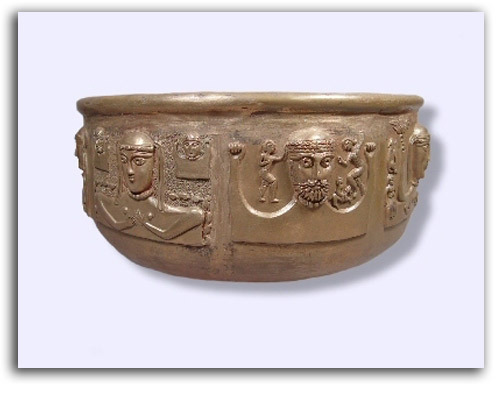 NOTE: This huge ritual vessel probably dates from between 100 BCE and 100 CE. 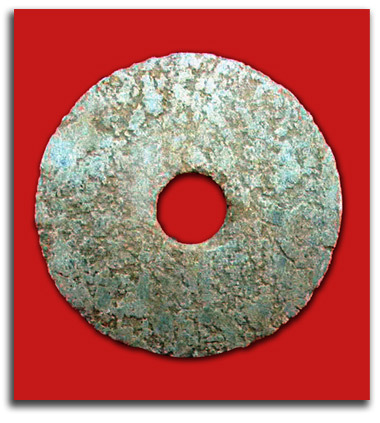 Measuring 27 inches in diameter and 15.6 inches high (69 x 42 cm), it is the largest surviving silver object of the Celtic era. 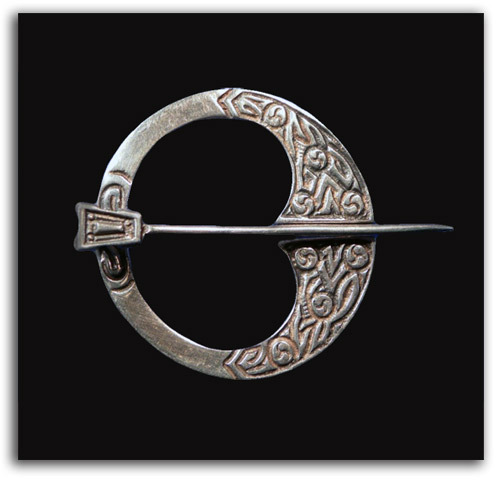 It was found in Denmark but could have been made in any number of Celtic regions. The original is in the National Gallery of Denmark. 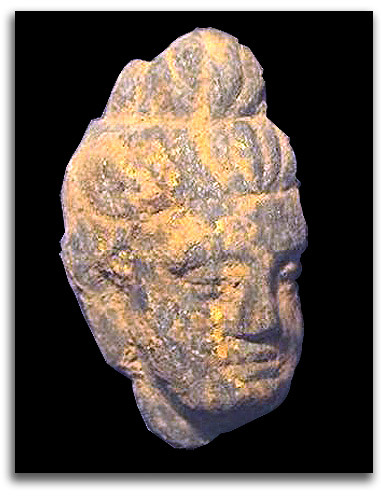 A pantheon of male and female deities are pictured. 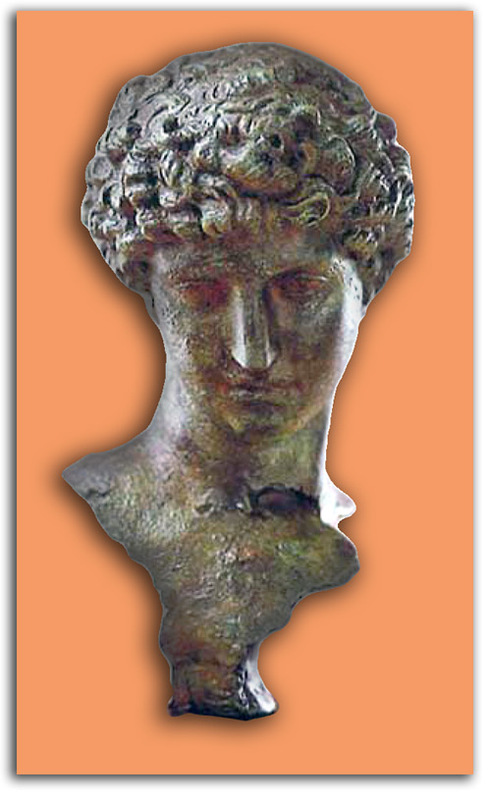 We do not know who is whom, but at least one head seems to be that of a goddess. 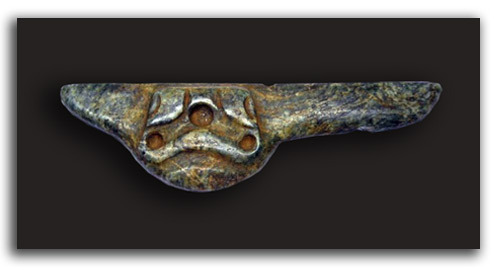 The most famous image on the cauldren is a seated shamanic figure with horns (wearing a torc) who is holding a torc and a snake. He is surrounded by animals. His horns are those of a reindeer. The large animal next to him is a reindeer with identical horns. The snake he holds has the head of a ram. This animal-man is thought by many to be Cernunnos, forest-dwelling spirit of fertility. 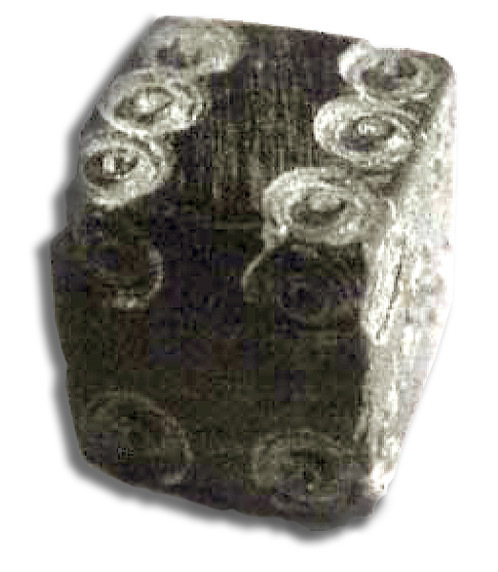 One carving inscribed with the name of Cernunnos shows him with the horns of a stag. 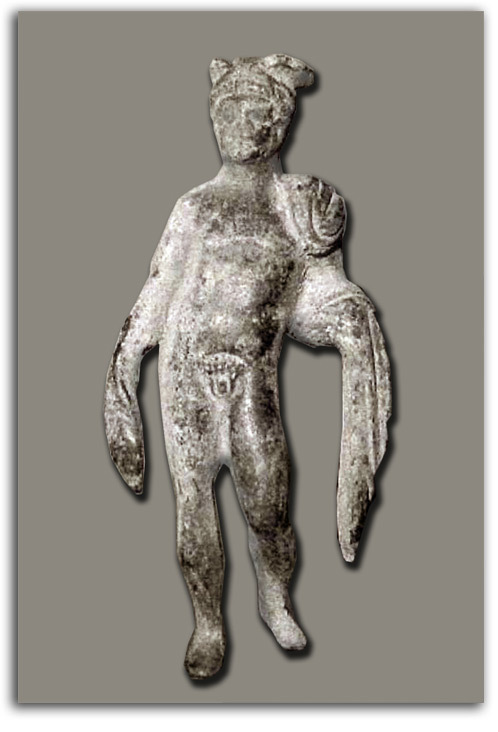 Another carved figure that probably is Cernunnos shows him wearing a torc, wearing another torc on his chest, and being encircled at the waist by a pair of ram-headed snakes. Many different interpretations of this vessel have been proposed. 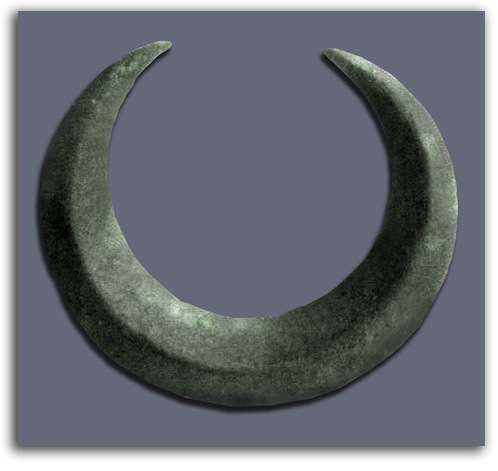 The most widely accepted interpretation is based on the evidence from Irish legends that Celts associated cauldrens with fertility, death, and rebirth – rebirth not only for crops but for people. 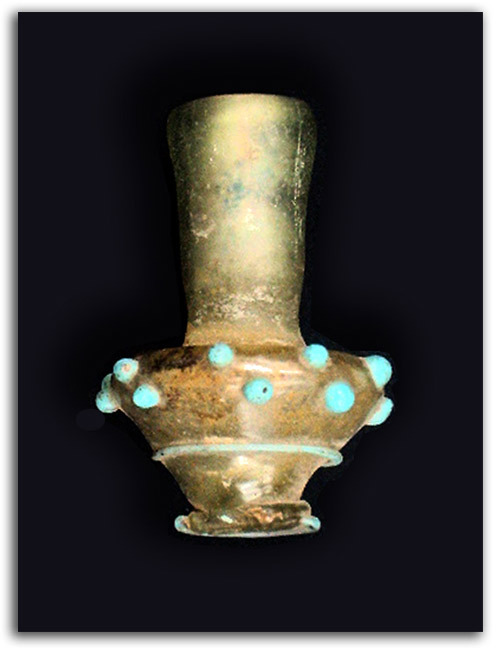 In one scene on this cauldren a tall figure is shown dipping a smaller figure into a very large vessel. 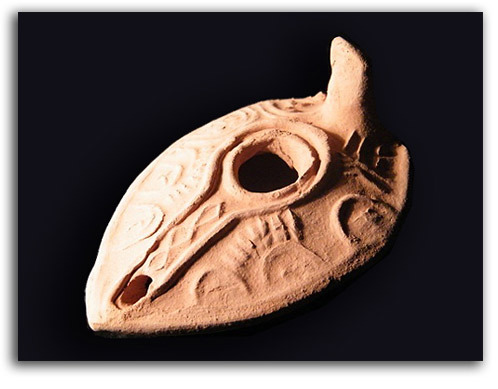 That vessel could have been a representation of this vessel. 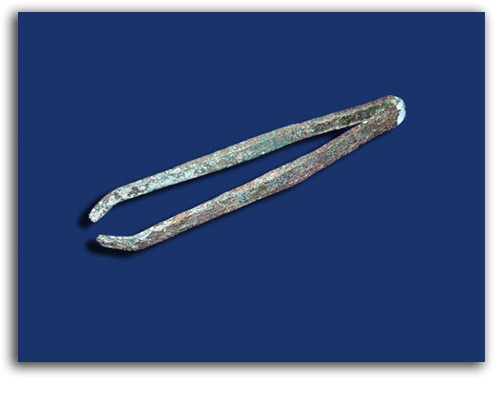 This cauldren certainly is large enough to hold the submerged head of a person, perhaps involved with something like a Christian Baptism. 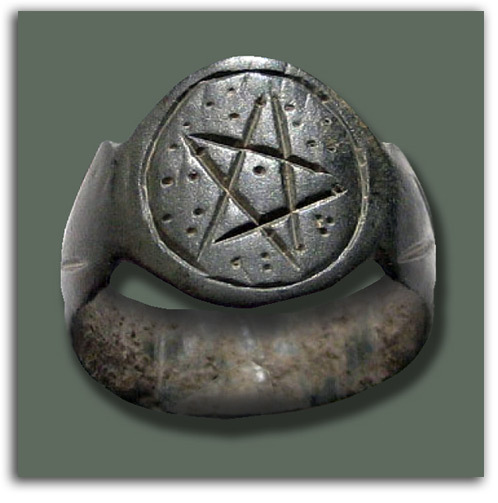 It may well have been used for a watery ritual by means of which a dead person was projected into a life after death. NOTE: The Celts in Brittany and Devonshire were fine ship builders. 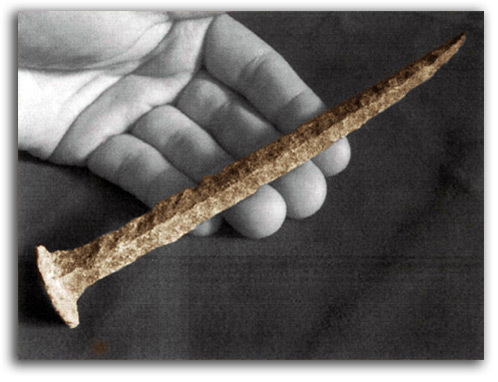 Their work was better than the work of the Roman who asked the Celts to make ships for them. Curiously, those two regions of France and England are places where ships are still built. 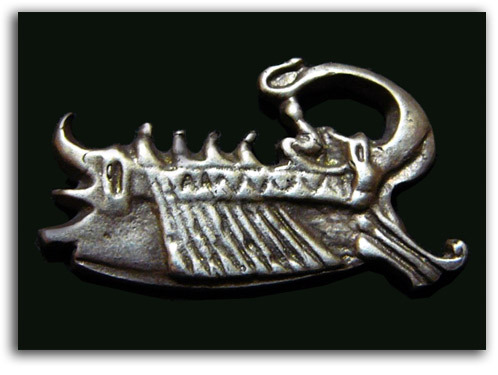 This piece of sculpted jewelry shows a galley with four men at the oars and a pointed bow for ramming other ships. 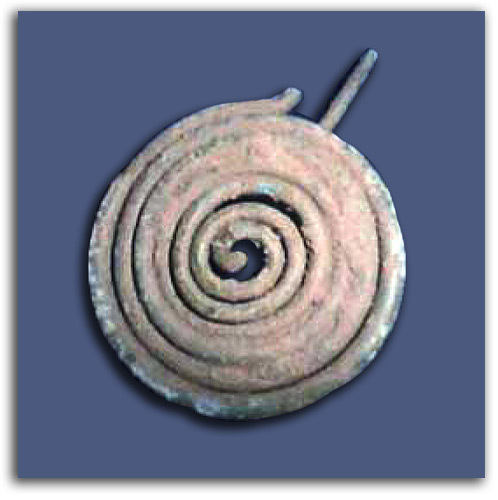 Only centuries later did sea going vessels use only sails. NOTE: This is widely regarded as the most beautiful European book of the Early Middle Ages. 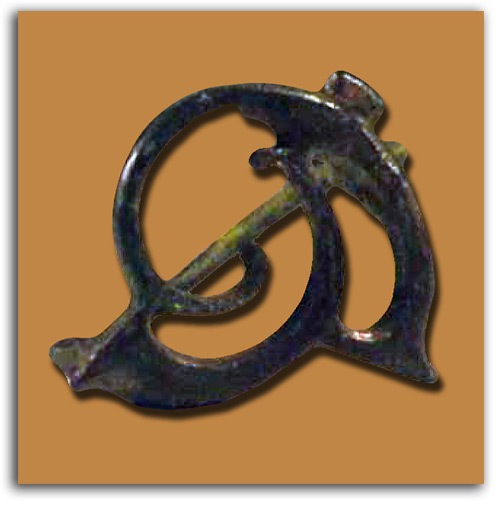 NOTE: Probably worn as a pendant. 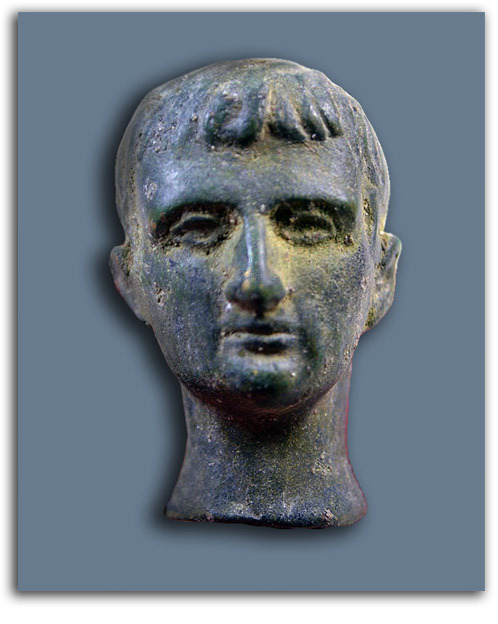 NOTE: Titus is remembered for putting down the Jewish Revolt and for completing the Colosseum. 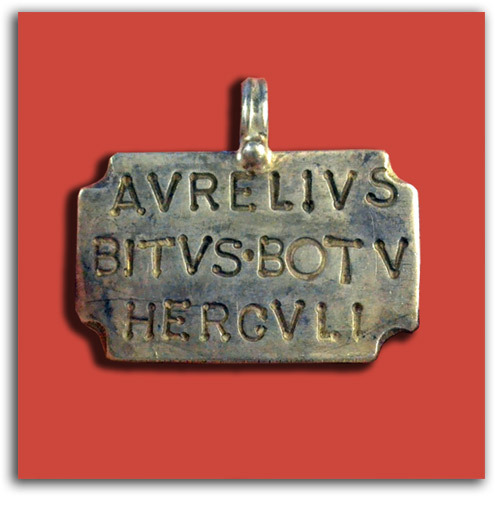 NOTE: Dice were popular in Rome. NOTE: Probably to hold armor in place. NOTE: Ramakrishna is one of the most revered teachers in the modern history of Hinduism. His spiritual son, Vivekananda, played a major role in bringing the ancient tradition of Vedanta to the United States. 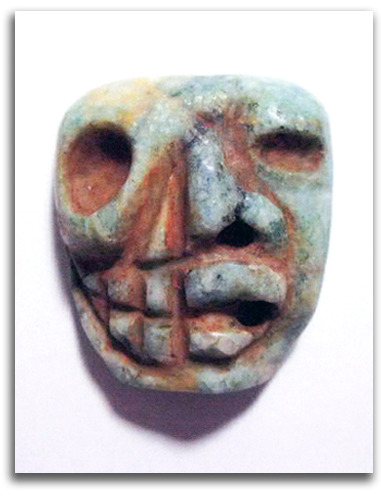 Hoffman was one of the most widely celebrated sculptors of the early 20th century. 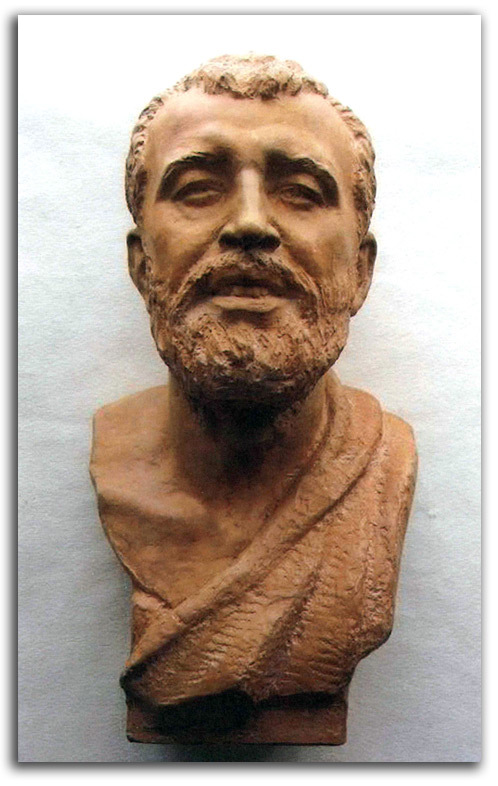 Her marble bust of Sri Ramakrishna, commissioned in 1952, stands at the heart of the main altar in the Ramakrishna-Vivekananda temple in New York City. 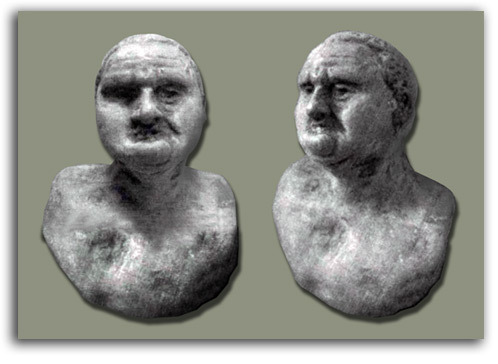 This dynamic terracotta bust, signed by Hoffman, is Hoffman’s study for that marble. 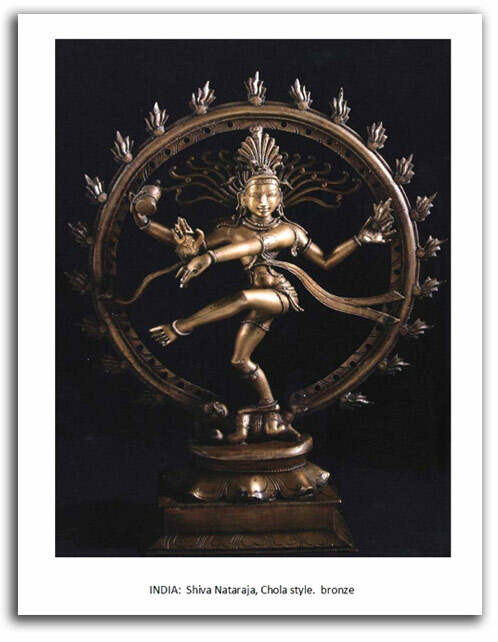 At their request, it was donated by IAD to the Vedanta Society of Southern California in Santa Barbara. 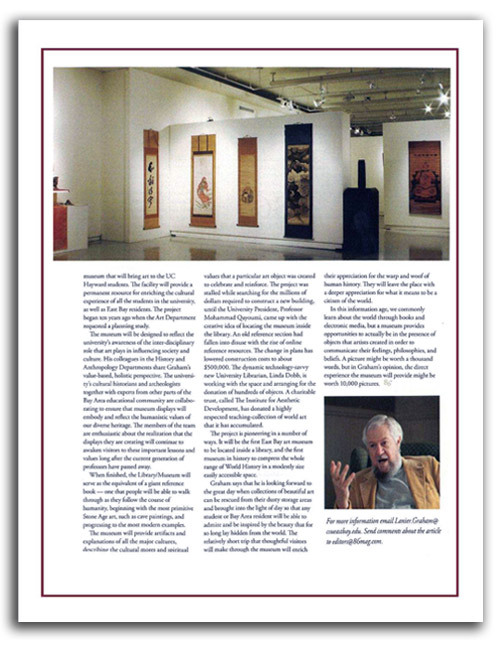 Graham is a widely respected Art Historian, Curator, and Cultural Planner. 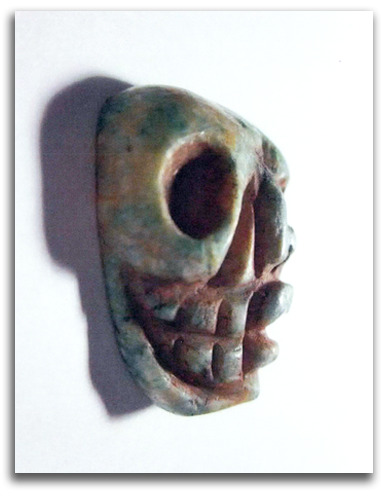 Also known as a poet, printmaker, sculptor, and philosopher, he works to relate the past to the present, and uses both to plan the future. 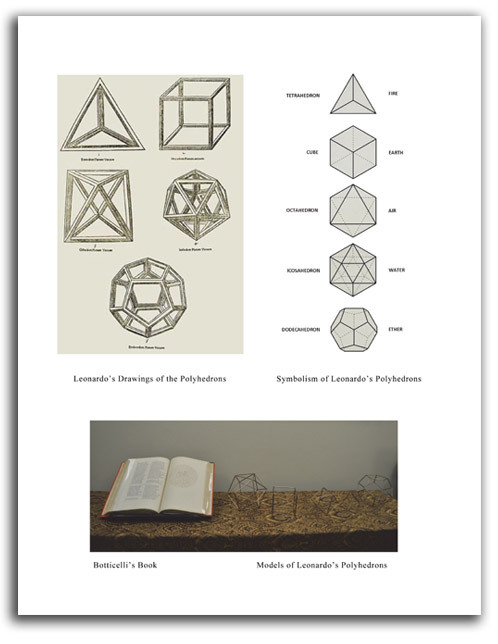 Many of his books and catalogues document subjects that have not been explored in depth before. 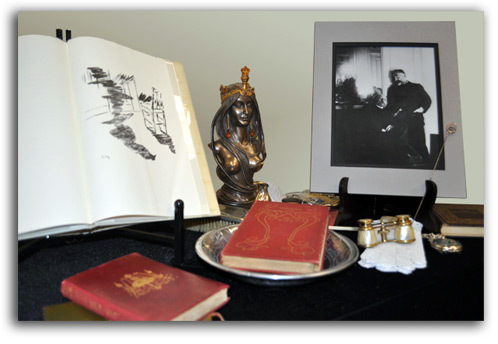 Several of his books have become standard references. Many of his educational innovations have become national models. His curatorial adventures started with his “Hector Guimard” exhibition at New York’s Museum of Modern Art in 1970. It travelled to San Francisco, Toronto, and Paris. 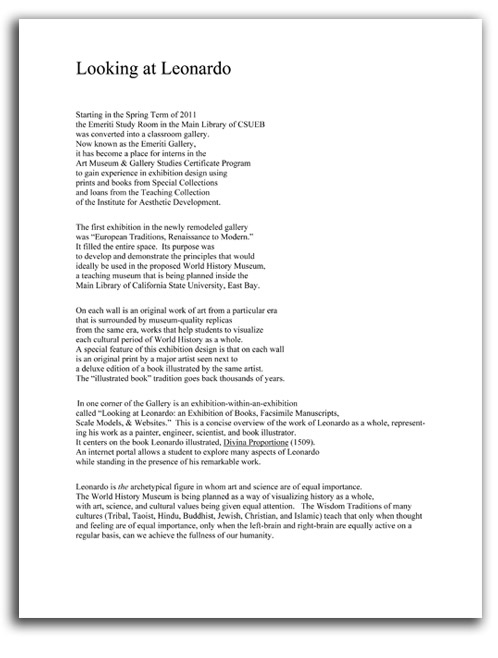 Since then his exhibitions have been presented in a number of museums, including those where he has served as curator: The Fine Arts Museums of San Francisco, the National Gallery of Australia in Canberra, the Norton Simon Museum of Art in Pasadena, and the University Art Gallery of California State University, East Bay (CSUEB), in Hayward. He is primarily a Modernist, focused on the decades between Postimpressionism & Abstract Expressionism, and specializing in the Late Modernism of the 1940s & ‘50s. 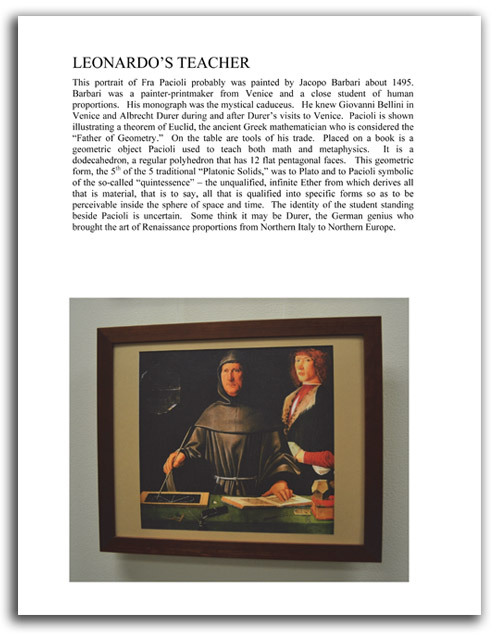 His second research field is the European Renaissance in Italy and England. 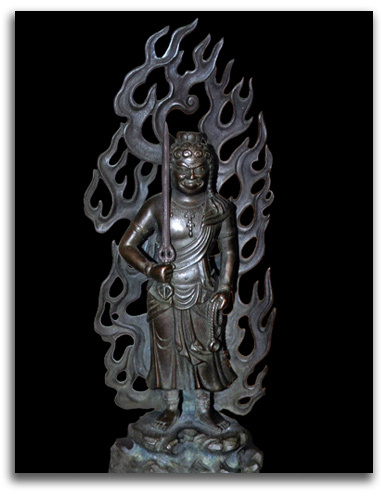 His third field of research is cross-cultural symbols of the Transcendent. Much of what Graham has written over the past 20 years has been for his students at California State University in both Arcata and Hayward where he has taught American Art, Ethnic Art, Contemporary Art, Modern Art, Technology & Art, World Art, Sacred World Art, Alchemy & Art, World Mythology, and World Religions. His continuous aim in lectures and study guides has been to simplify complexity. The same is true for his books. The trade books he has written or edited have sold over a million copies in five languages. The Institute for Aesthetic Development is a charitable organization devoted to the development of visual education and cultural planning. IAD was started in 1975 with funding from Graham's parents, Dr. Floyd Graham & Martha Lanier Graham. 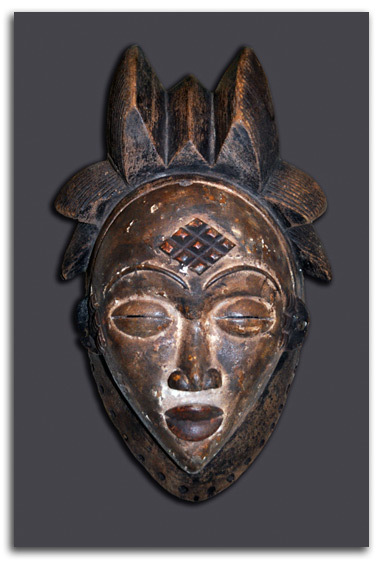 The IAD Teaching Collection of World Art, formed by Graham and his wife Gloria K. Smith, consists of works from all the major eras and cultural areas of human history. 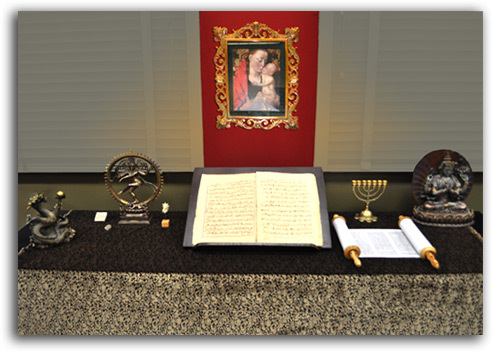 Works of art from IAD’s Teaching Collection have been used for many years in colleges, universities, and museums as teaching aids. 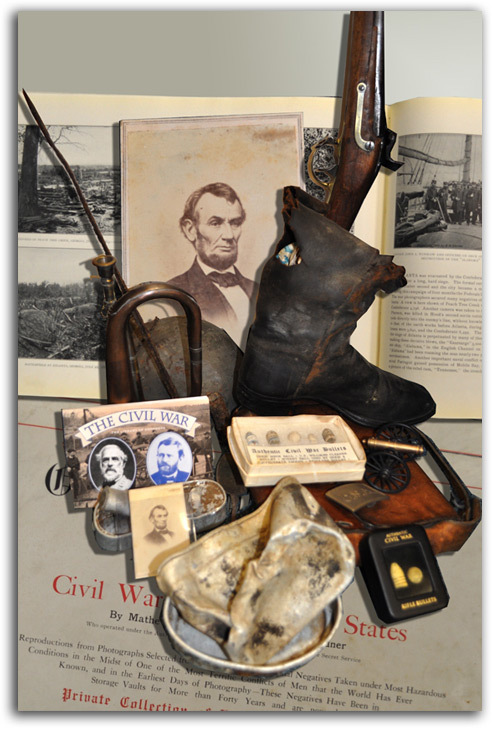 In 2010, most of this collection was donated to California State University, East Bay, to be the nucleus of a World History Learning Center. The Center is being planned as a unique “universal classroom” which could well become a national model. [CLICK for PROSPECTUS]. 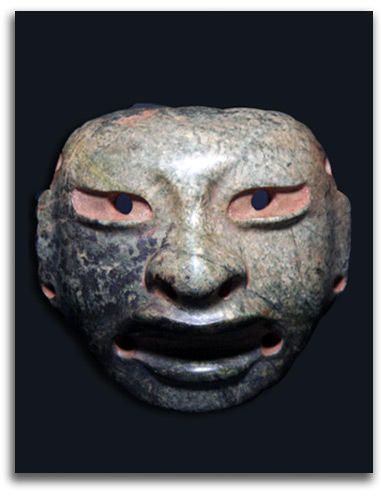 The World History Learning Center is one of a long line of innovative cultural plans for which he has been the primary planner, plans that have become national models for cultural institutions. He began with an Architecture & Design study center at New York's Museum of Modern Art during the 1960s, then continued during the 1970s & '80s with master plans for the Fine Arts Museums of San Francisco, the Fort Mason Center on the San Francisco waterfront, and the Headlands Center for the Arts in the Golden Gate National Recreation Area. 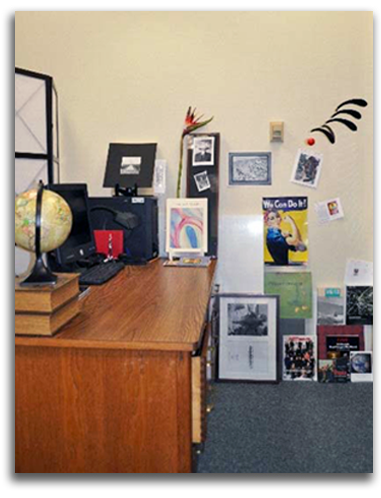 Since the 1990s, the "World History Learning Center" at CSUEB has been his main focus as a cultural planner. Graham is credited with being one of the first to use the term “Cultural Planning” and one of the first to do this work as a profession. Graham also has had a lifelong interest in the sciences. He was an active member of the Junior Astronomers in high school, and considered that profession under the encouragement of Albert Schatzel, Director of the Adler Planetarium in Chicago. In college his favorite subjects included Psychology and Anthropology. Encouraged by Gregory Bateson, his senior thesis was an exploration of Personality and Culture from the perspective of Systems Theory. Professor Beardsley, with whom he was studying International Communications, wanted him to do his graduate work in Psychological Anthropology, and invited him to present his senior thesis as a paper at the national conference of the American Psychology Conference in 1963. But Graham declined. He was headed for an M.A. in Art History at Columbia University. During the 1970s he collaborated on a number of projects with the noted physicist and educator Frank Oppenheimer, the brother of J. Robert Oppenheimer, and founder of the Exploratorium in San Francisco. In 1975 Graham edited THE RAINBOW BOOK, which was a concise encyclopedia of light and color from the viewpoints of art, physics, and metaphysics. 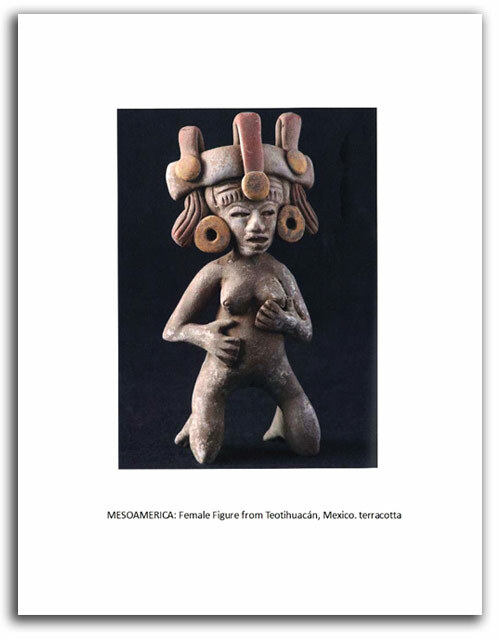 This interdisciplinary survey sold over 100,000 copies. 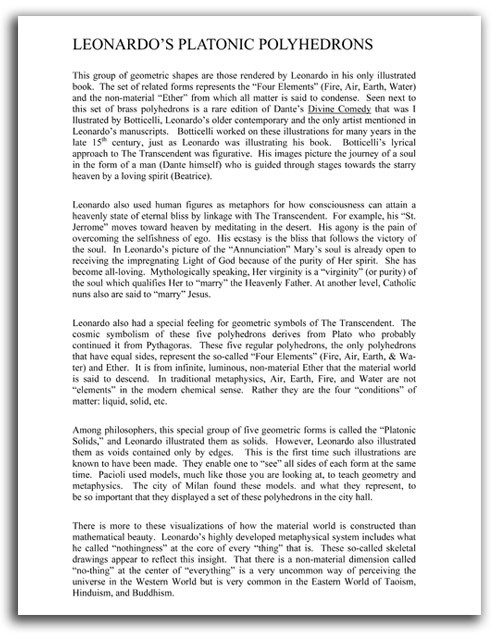 His poetry book, HEAVY LIGHT: HAIKU ON MODERN PHYSICS & ANCIENT WISDOM (1978), was warmly received by the Physics-Consciousness Research Group. Fred Wolf’s pioneering textbook, TAKING THE QUANTUM LEAP: THE NEW PHYSICS FOR NON-SCIENTISTS, which won the National Book Award, was agented to Harper by Graham. Graham has been in love with computers most of his life. In 1967, at the invitation of David Vance, the Registrar of New York’s Museum of Modern Art, Graham was one of the original members of the Museum Computer Network. That was when the only computers were mainframes the size of rooms. 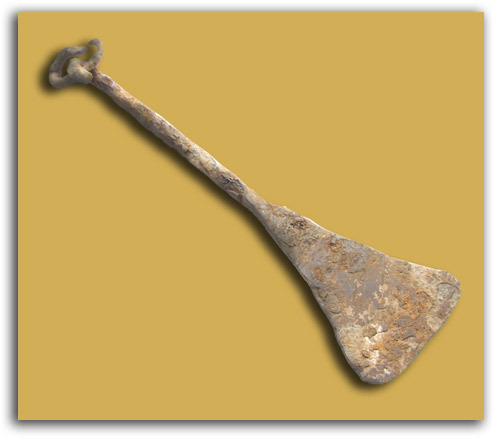 The purpose of those early museum databases was Collection Management. 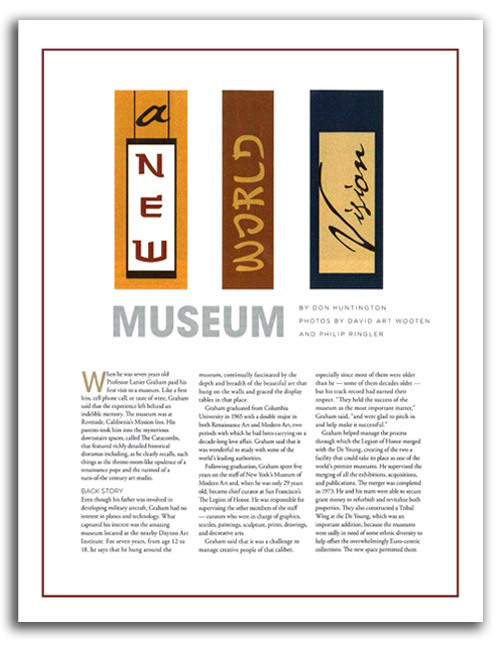 The MCN organization now connects the IT staff of many museums in America. Artists also were starting to explore computers at that time. During the late ‘60s, doing research in preparation for the legendary MoMA exhibition of 1970 “INFORMATION” (the first major museum exhibition of digital art and conceptual art), Graham explored recent developments in the art/computer world at Bell Labs and in the studios of a number of electronic artists. 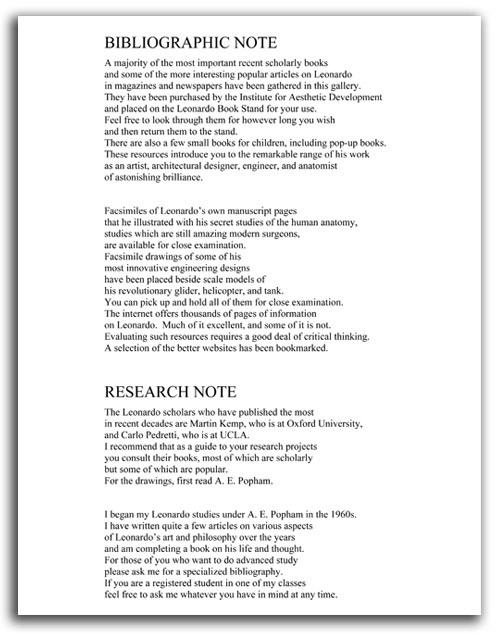 During the 1970s he used the computer for book production, exhibited digital art at the Fine Arts Museums of San Francisco, and advised the Exploratorium on displays. 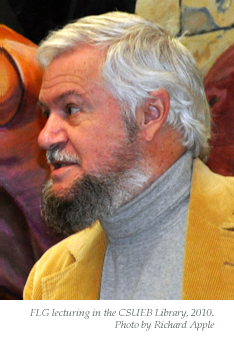 During the 1980s he used the Internet (then words only) to teach his Museum Studies students how to compile bibliographies from data in the Library of Congress, and kept up with the technology as the desktop Macintosh and IBM PC began to revolutionize the world into millions of personal informational environments. During the mid-1990s, as soon as the Web made the Internet into a visual tool and RealAudio appeared to integrate a sound track, he pioneering a new stage in the use of the Internet as a teaching tool. The first generation of Internet courses were text only. The second generation used images but were still primarily text. RealAudio2.0 made possible the unification of images with the spoken word of lectures. Graham wrote, illustrated, and narrated the first asynchronous online courses of this type in the California State University system. They were celebrated by the RealAudio corporation as the first courses on the Internet to use RealAudio. 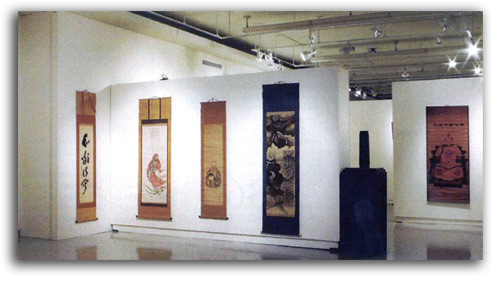 During the late ‘90s he taught courses on the history of art & technology at CSUEB, and in the University Art Gallery of CSUEB developed a special space for the presentation of digital art. 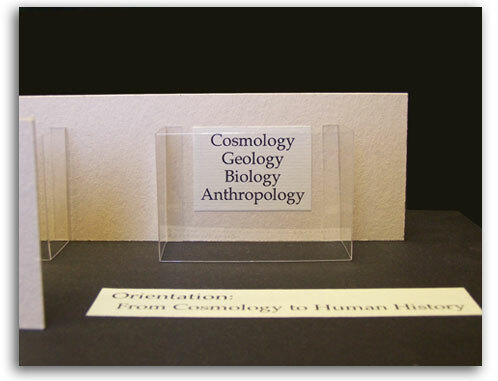 Graham now is designing a Science Information Wall in the University Library of CSUEB with iPads as the interactive “wall labels” for the exploration of each scientific discipline. From such portals, students and visitors from the surrounding community, can travel to the edges of their imagination. During the 1970s, he also assisted two free-standing graduate schools to gain accreditation for their innovative programs in the science of consciousness - the California Institute of Asian Studies in San Francisco, and the Naropa Institute in Boulder. He also was a member of the original faculty of the Art & Consciousness MFA program at John F. Kennedy University, Orinda. In 1979 his profile was included in a world-wide study by Itsuo Sakane of notable figures working on the dynamic interface of art, science, and consciousness, along with Bohm, Capra, Kepes, Gombrich, Ornstein, and Oppenheimer. Sakane’s survey in book form appeared in 1984 as TRAVELING ON THE BORDERLINE: ART, SCIENCE, & CONSCIOUSNESS. Since the 1970s, at a number of universities, Graham has been teaching World Art, Sacred Art, World Religions, and World Mythology from a perspective that amplifies the traditional fields of the Humanities with insights from the new field of Consciousness Studies. For a checklist of Graham's publications, click here. Graham's reputation as an educator, author, and cultural planner is both national and international. His profile appears in the prestigious WHO’S WHO IN AMERICA. 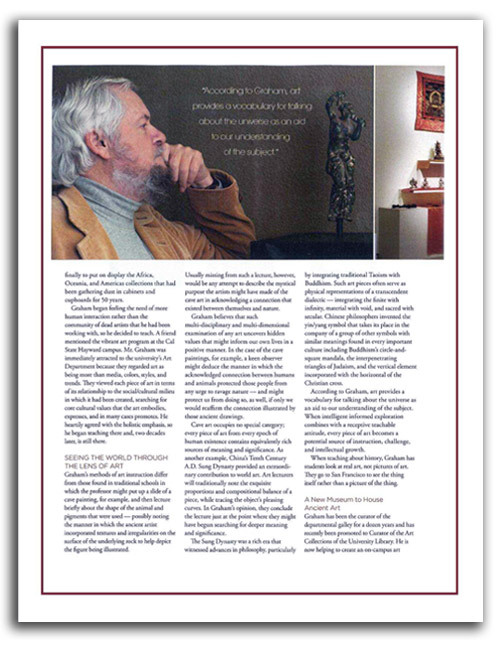 He also is one of the very few art historian/curators whose profile appears in WHO’S WHO IN THE WORLD. 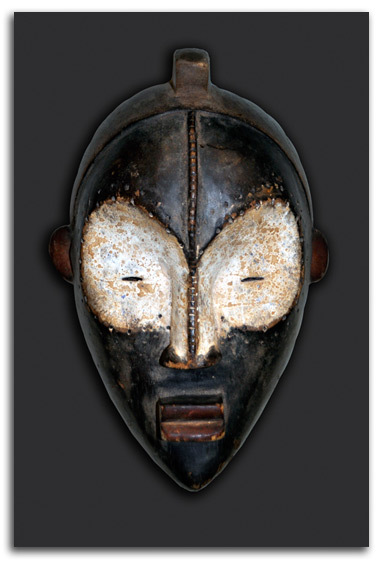 Many of the works in the IAD Teaching Collection of World Art have been catalogued in the three volumes of GLOBAL VISION: A SURVEY OF WORLD ART (Part 1, 2006; Part 2, 2008; Part 3, 2010). 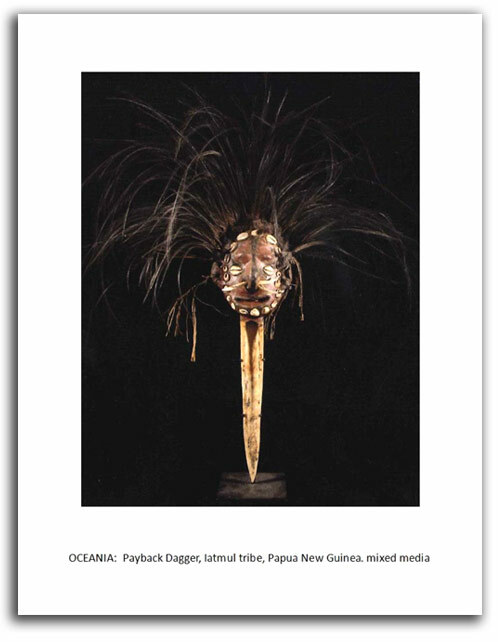 For some of the images in these exhibition catalogues, visit the image base at San Jose State University @WORLDIMAGES.SJSU.EDU/Prt1627. Those GLOBAL VISION photographs were skillfully made for IAD by Philip Ringler. The SJSU files were constructed by two gifted IAD interns at CSUEB: Sarah Naumann and Krystal Hasiak. 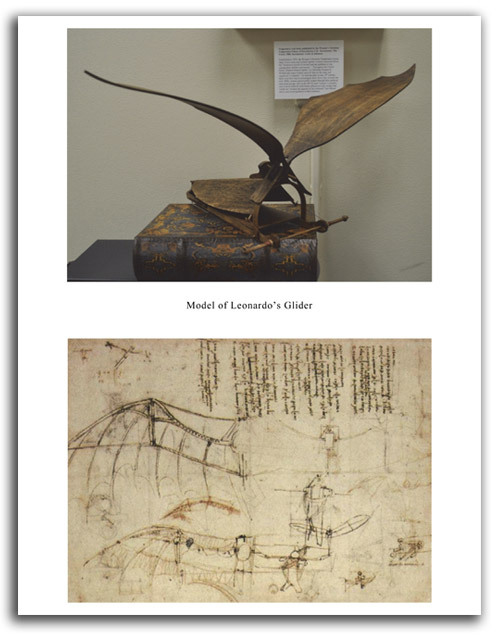 Many of those works of art, and hundreds of other works of art, have since been donated to California State University, East Bay. [CLICK HERE for INTERVIEWS of 2011]. 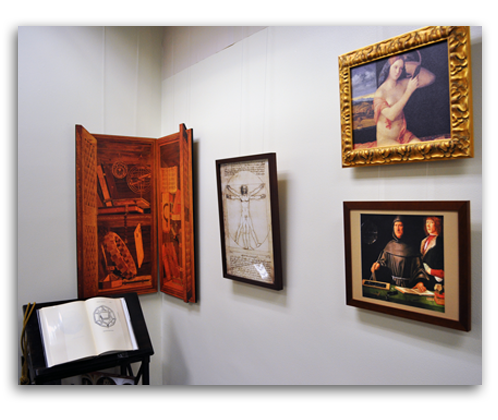 Some works in those exhibitions were on loan to the IAD Collection from private collectors for the purpose of rounding out the student experience of each historical era. Some of those remain on loan. 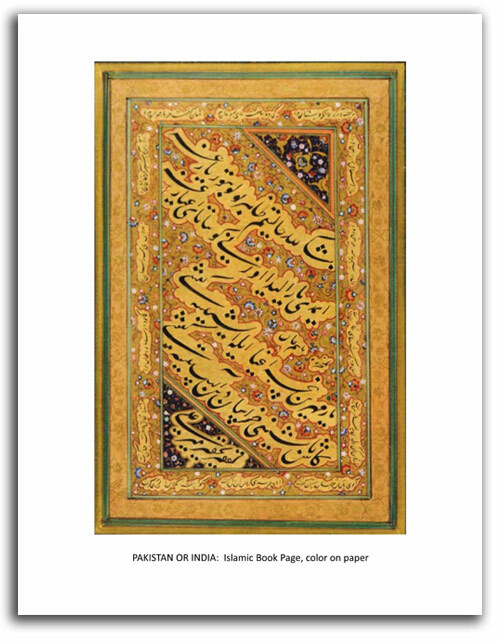 Publications by IAD, and publications distributed by IAD, will be listed on the future website of World Art Press. This site is well developed but is still under construction. M.A. 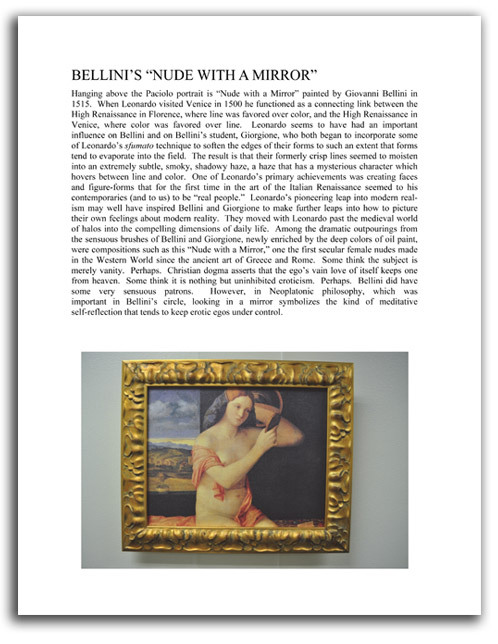 Thesis: Nicholas Lanier, Collector of Italian Renaissance Art. 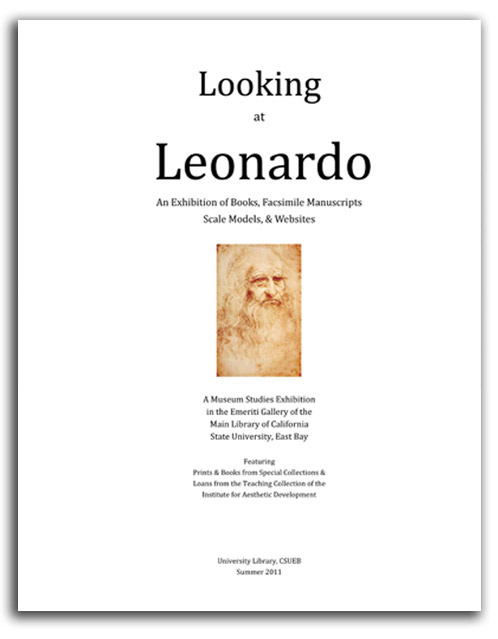 Catalogues on Leonardo, Giorgione, Monet, van Gogh, Guimard, Duchamp, and de Kooning. The Rainbow Book (Shambhala 1975 & 1976; Vintage/Random House 1979). 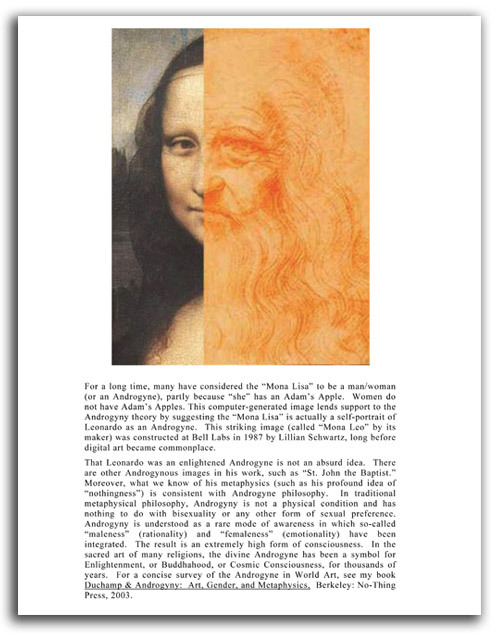 Goddesses in Art (Abbeville/Artabras 1997 in four languages); Duchamp & Androgyny: Art, Gender, and Metaphysics (No-Thing Press 2005). 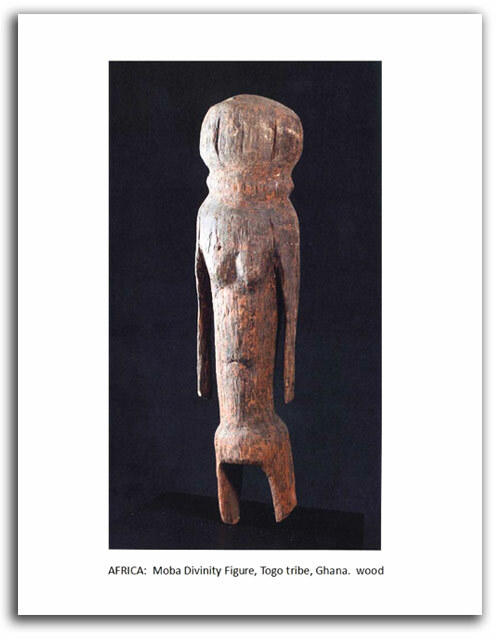 Global Vision: A Survey of World Art, (World Art Press, vol.1 2006; vol.2 2008; vol.3 2010). His purpose is to make fine art available to large audiences. Books he has written or edited have sold over a million copies. 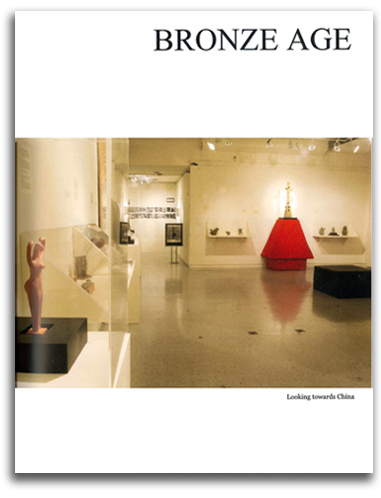 MUSE: A Quarterly Journal of Visual Education, Museology, & Cultural Planning. Leonardo's Book Illustrations, Phillips Collection Library, Washington, D.C.; Early Flemish Paintings: Renaissance & Baroque, Fine Arts Museums of San Francisco; Giorgione & the Experts, Oglethorpe University Museum, Atlanta; Leonardo’s Light in “The Last Supper” and “Christ among the Doctors,” Fine Arts Museum of the South, Mobile; Looking at Leonardo: An Exhibition of Books, Facsimile Manuscripts, Models, & Websites, CSUEB; The Spirit of the Renaissance: A Re-Creation of the Urbino Studiolo, CSUEB; Flaming Pages: The Illuminated Books of William Blake, CSUEB; Three Centuries of French Art (Norton Simon collections), Fine Arts Museums of San Francisco; Vincent van Gogh, Norton Simon Museum, Pasadena; Hector Guimard, MoMA, New York; Impossible Realities: Marcel Duchamp & the Surrealist Tradition, Norton Simon Museum, Pasadena; The Spontaneous Gesture: Prints & Books of the Abstract Expressionist Era, National Gallery of Australia, Canberra; Global Vision: A Survey of World Art, CSUEB.